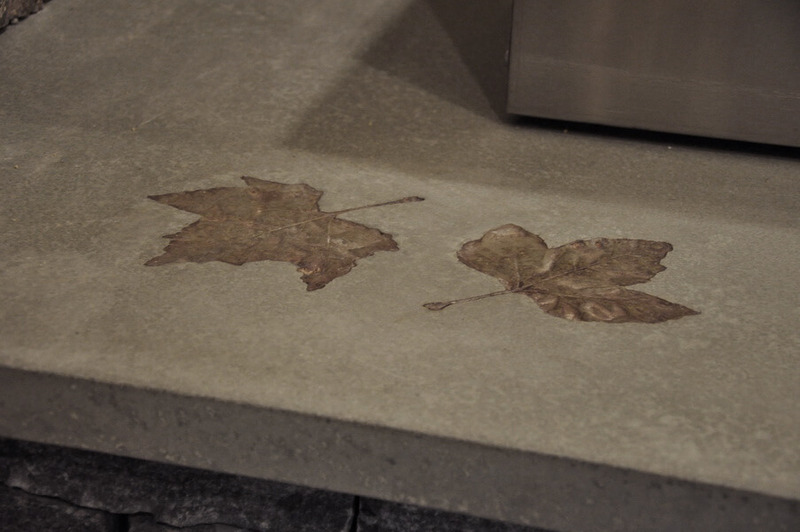 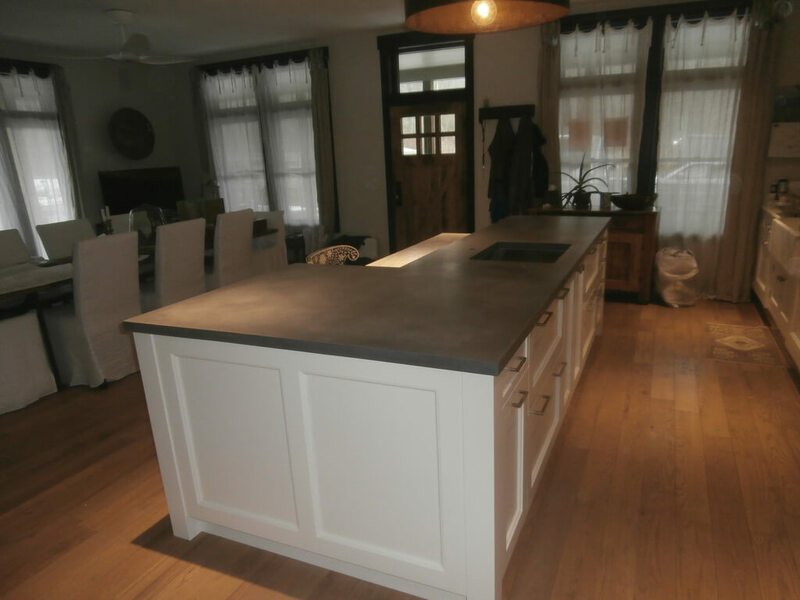 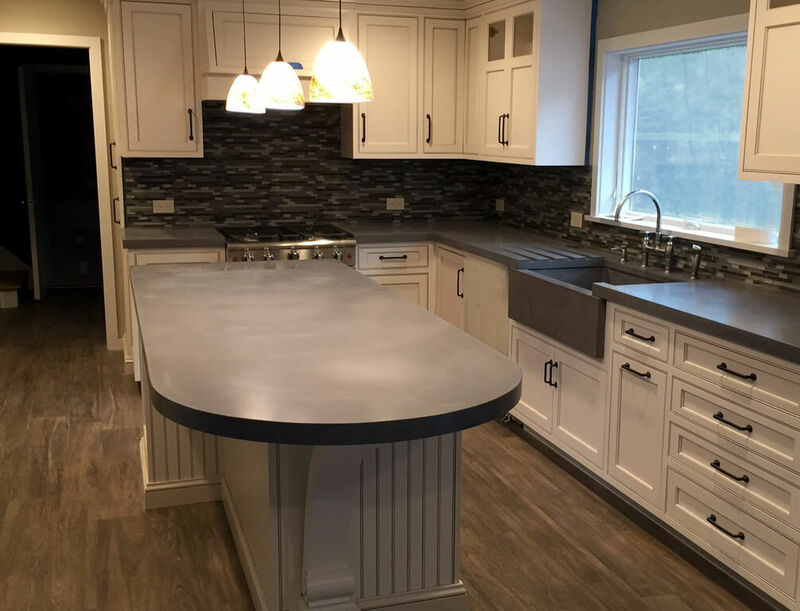 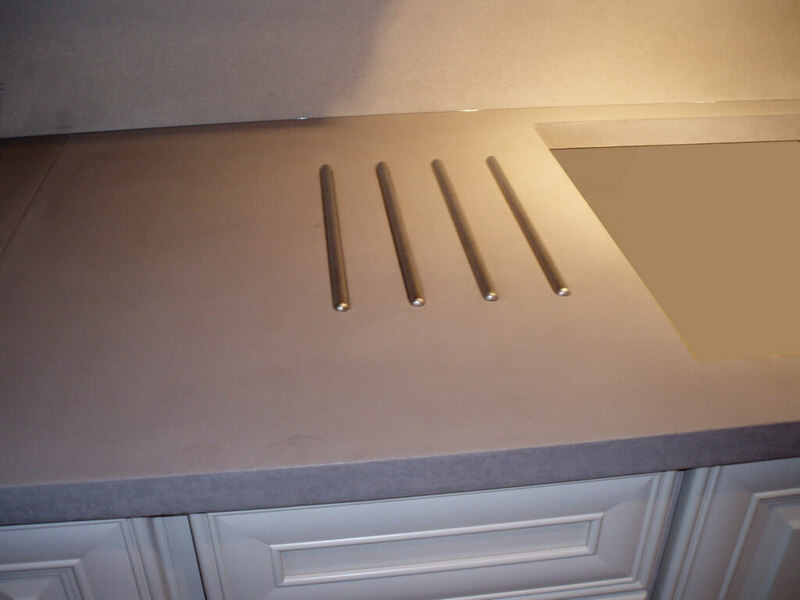 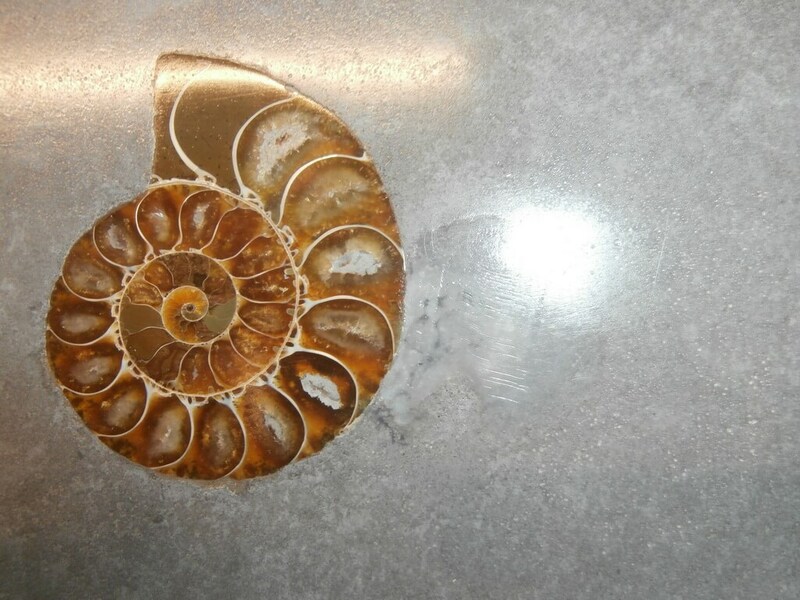 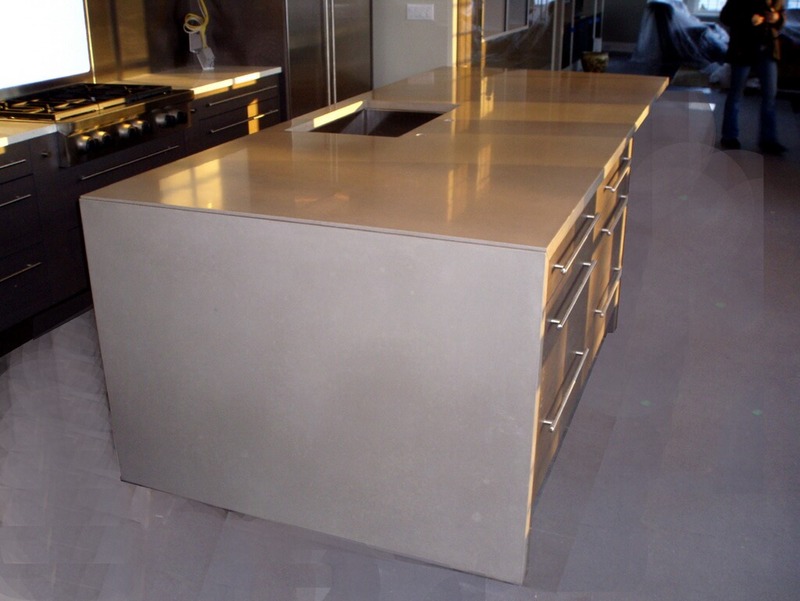 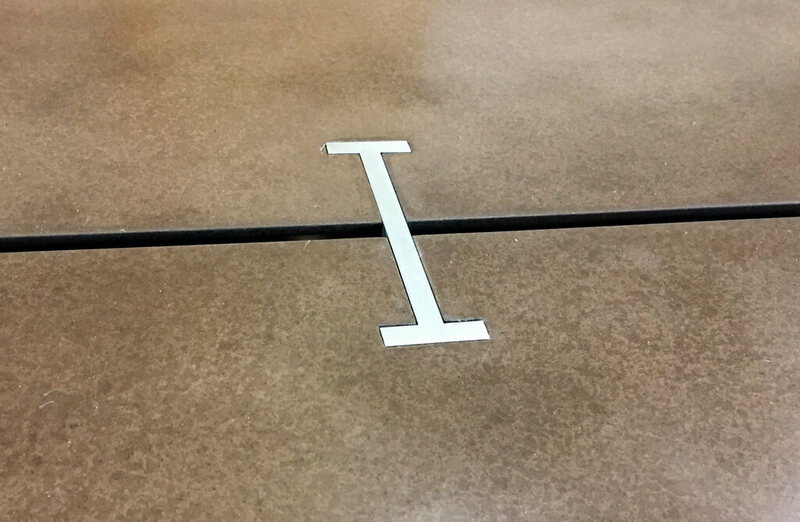 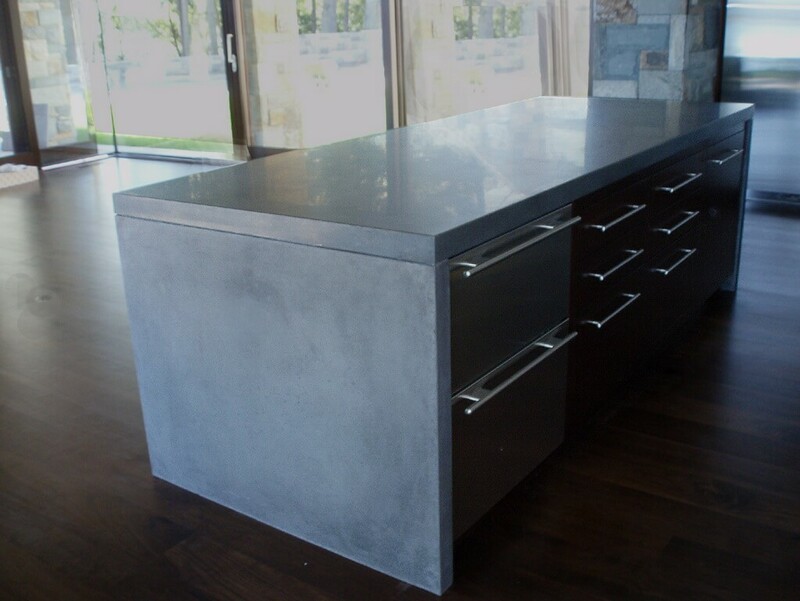 Anything is possible with Brooks Custom's concrete countertops! 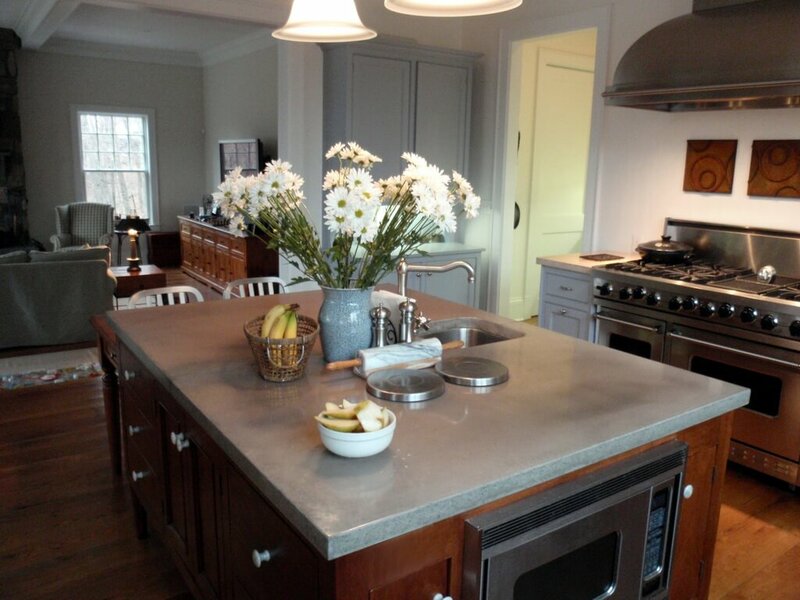 Bring your ideas and creativity when selecting your new countertops and choose from custom colors, and shapes. 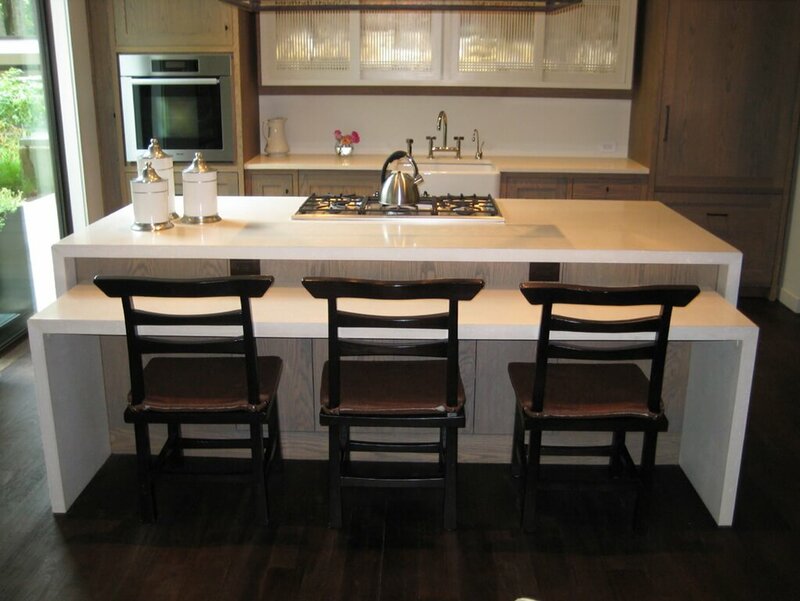 Decorative inlays are a great way to add a personal touch to create a truly unique piece! 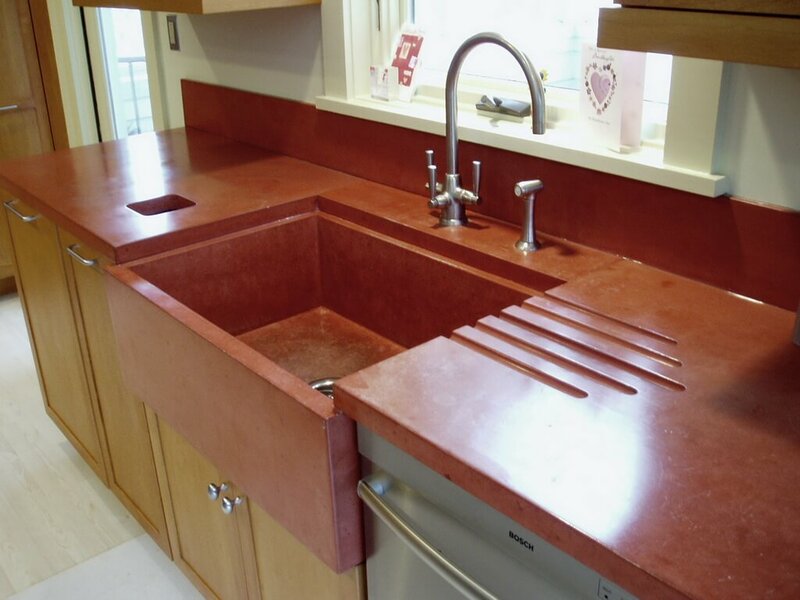 Anything is possible with Brooks Custom's concrete countertops! 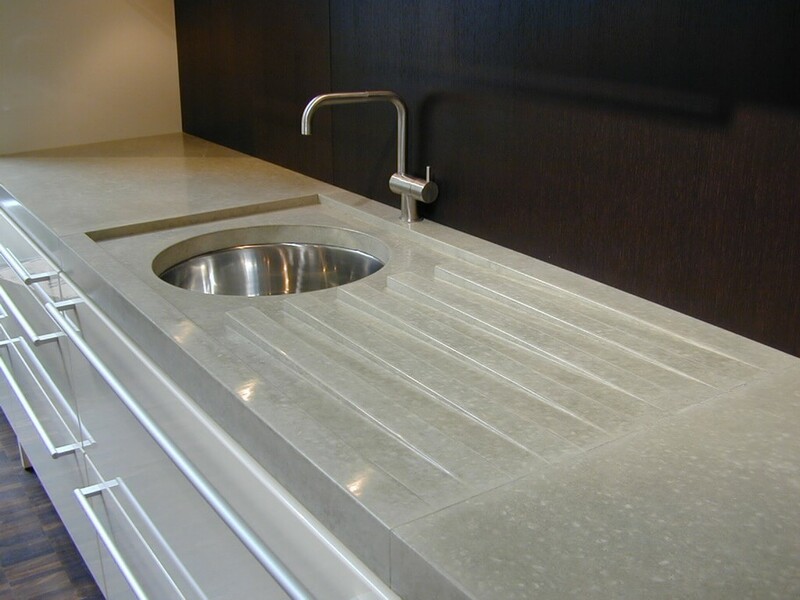 Bring your ideas and creativity when selecting your new countertops and choose from custom colors and shapes. 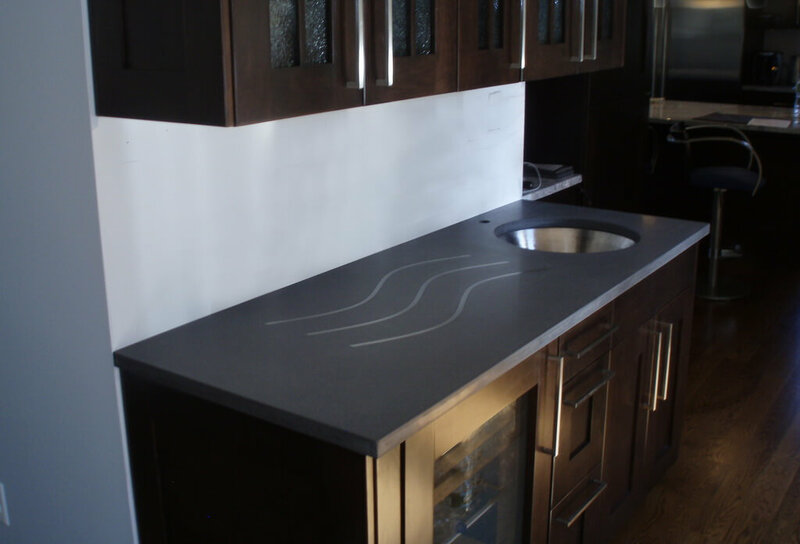 Decorative inlays are a great way to add a personal touch to create a truly unique piece! 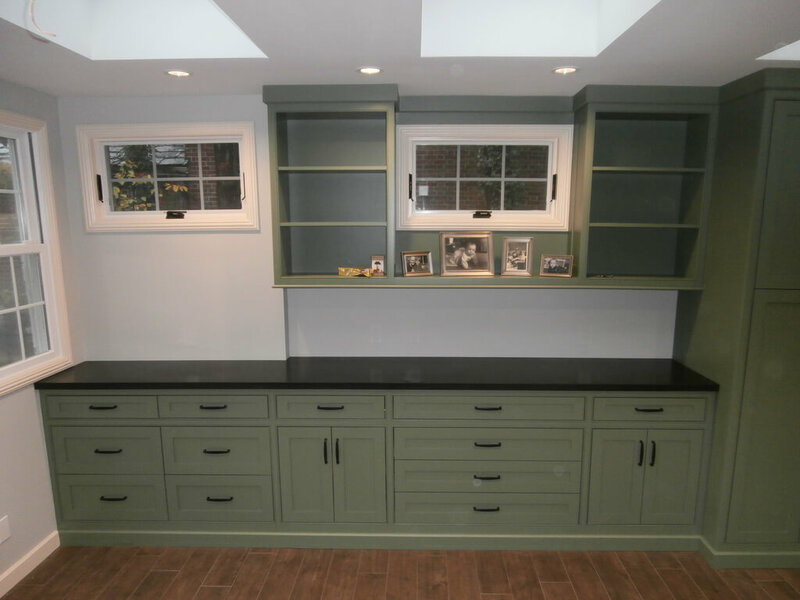 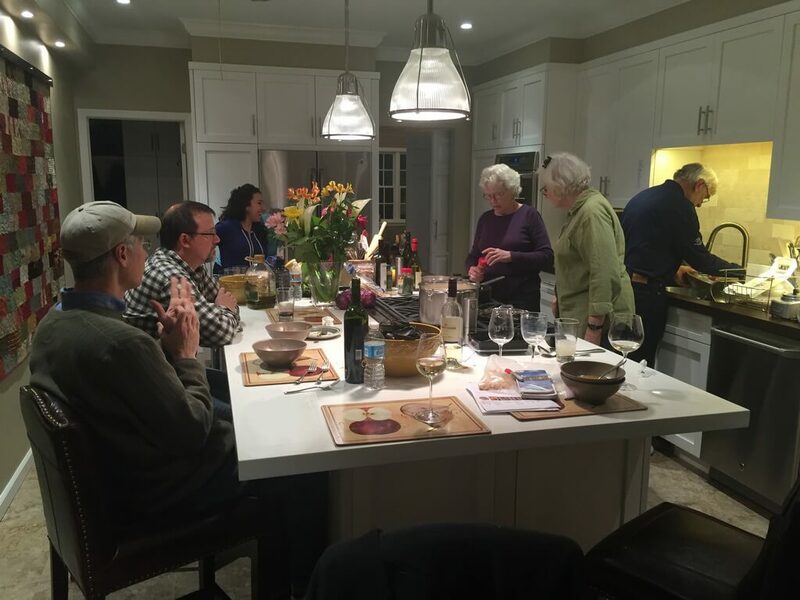 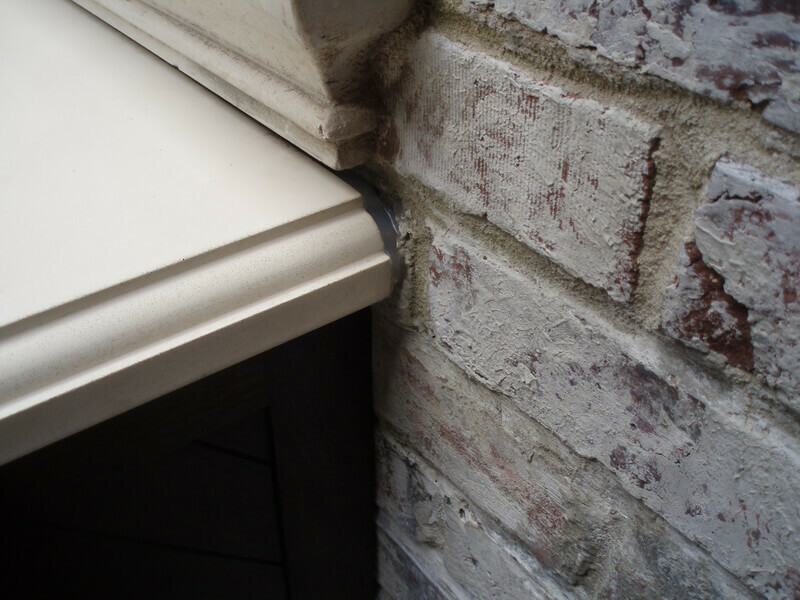 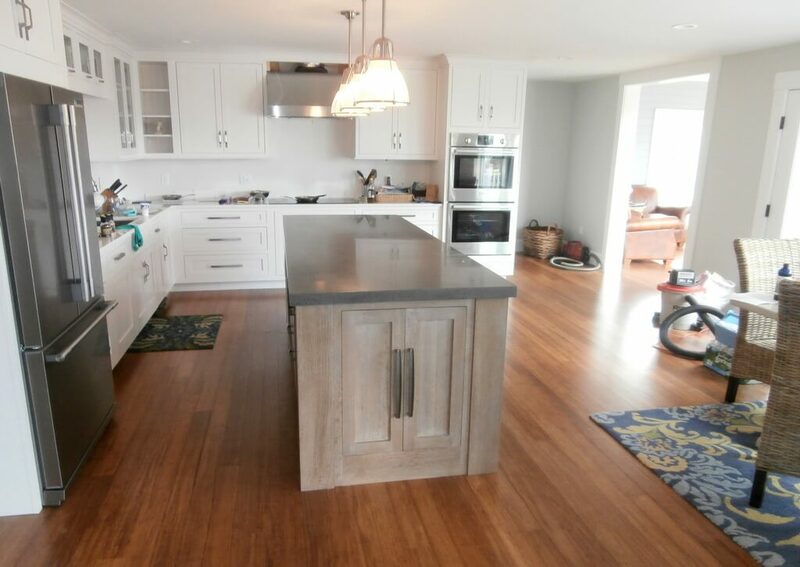 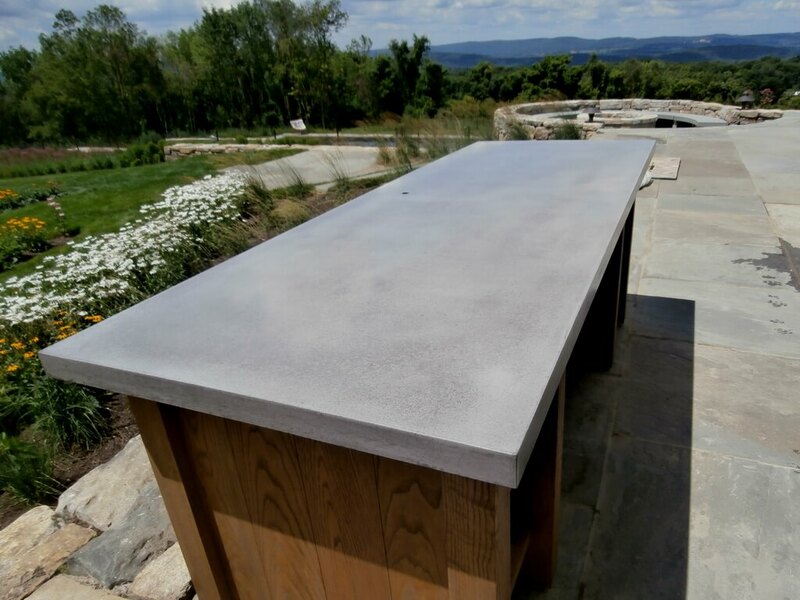 View our galleries and then click through to read a note from the owner, learn more about concrete construction, colors, and stains, edge profiles, details, credits, finish options, green statement, and care and feeding. 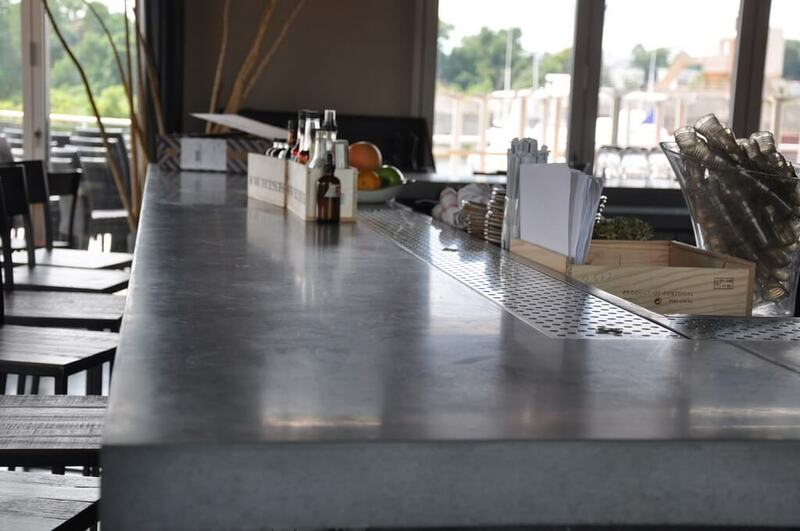 Be sure to check out our FAQ as well. 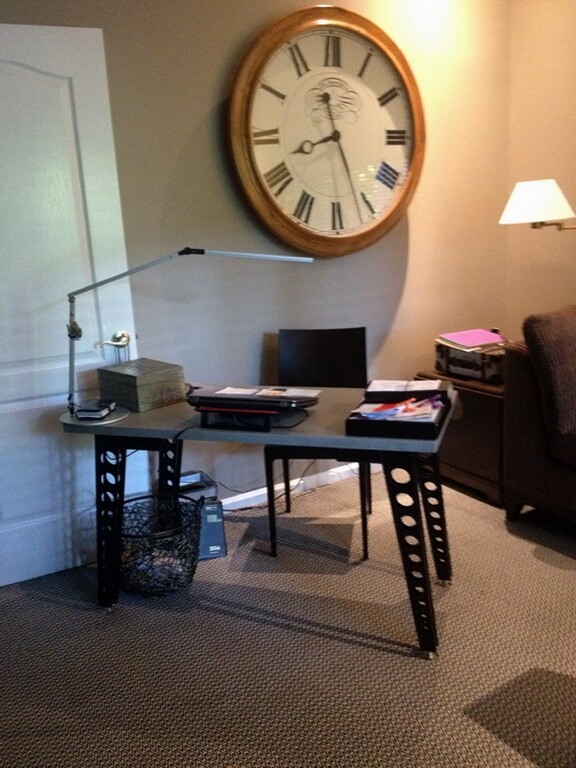 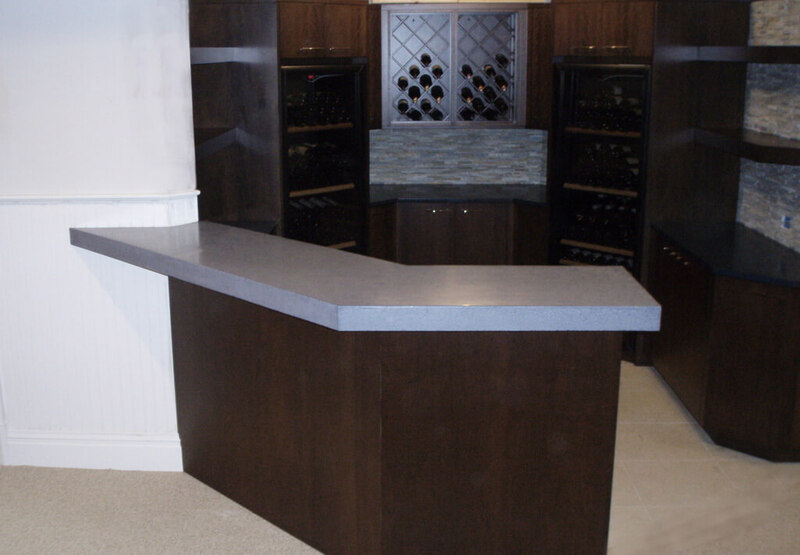 For pricing inquiries or specific product questions, send your photos or drawings to quotes@brookscustom.com. 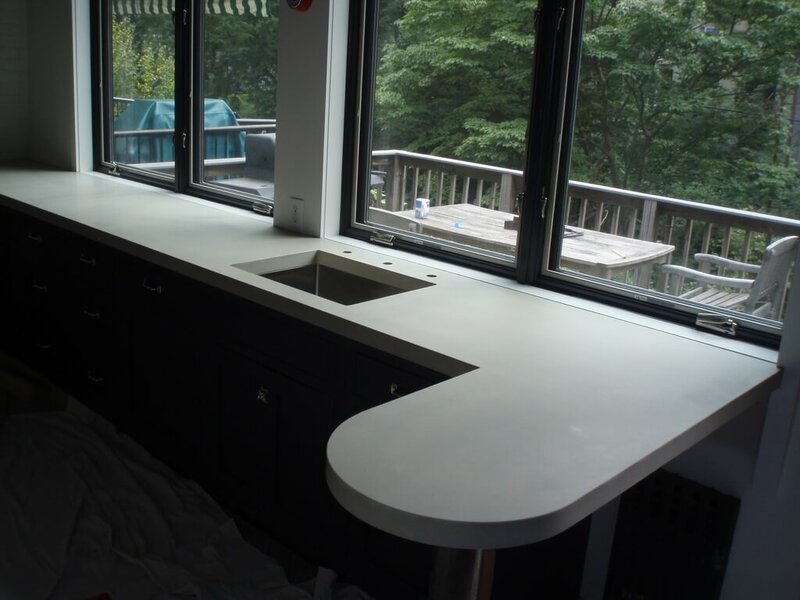 Our design team will review your details and requests and will get back to you with an estimate within one to two business days. 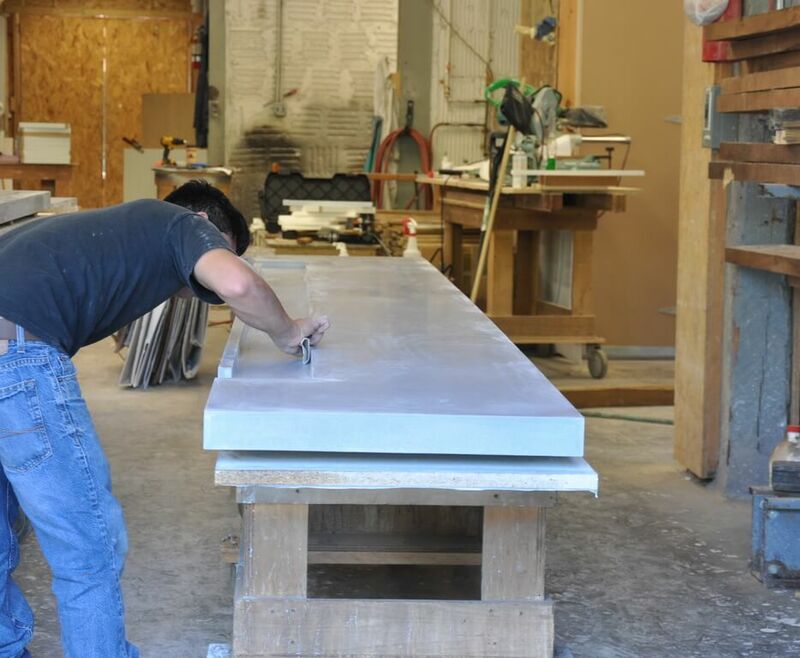 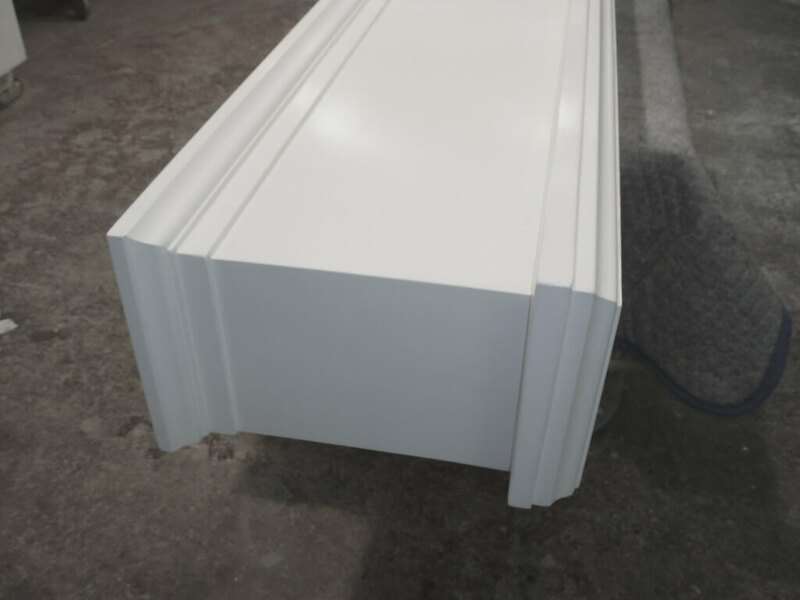 All of our engineered concrete countertops are manufactured and prepared for delivery or installation direct from our facility in Mt. 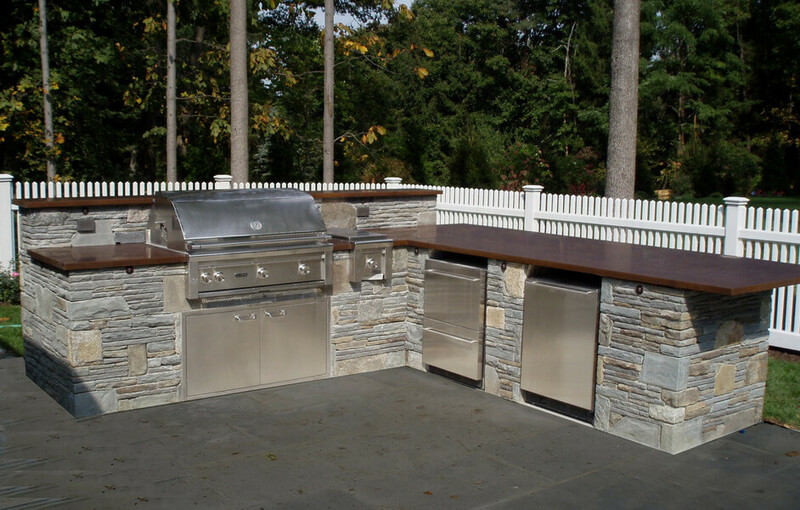 Kisco, NY. 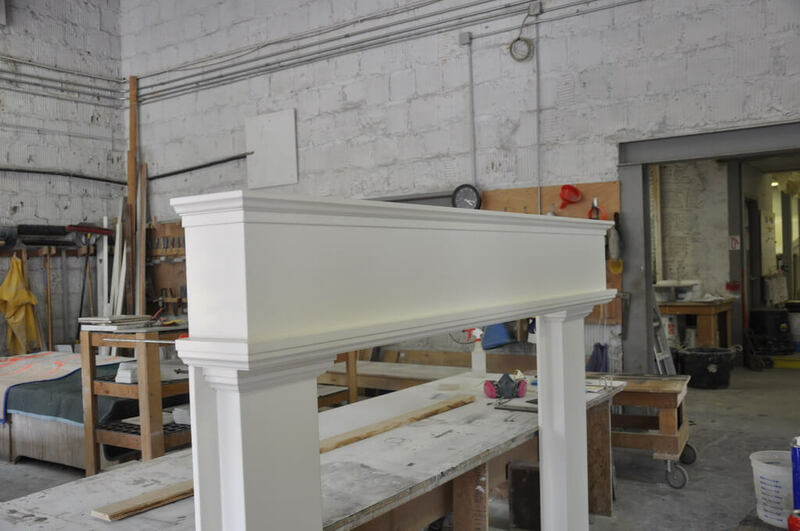 Our simplified design process puts you in touch with our designers and craftsmen, and there are no middlemen to work through. 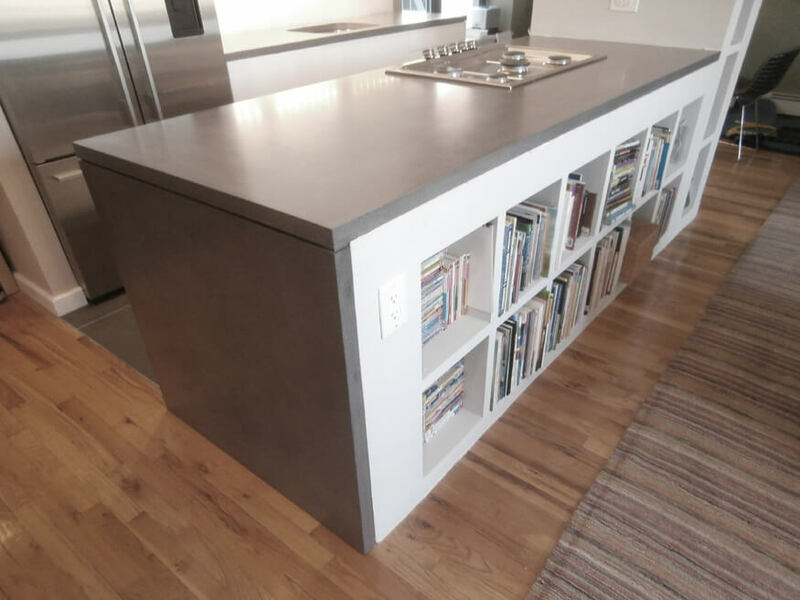 A gallery of the many applications for Brooks Custom's unique and versatile engineered concrete countertops. 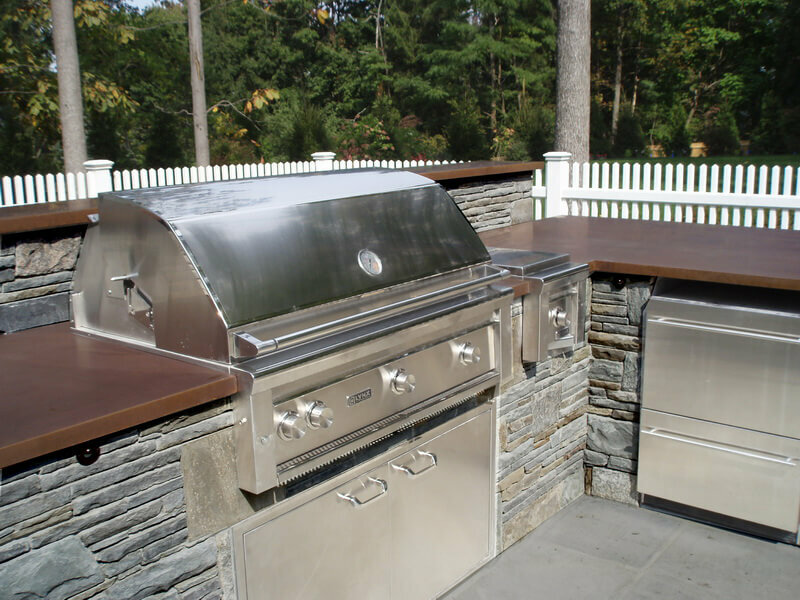 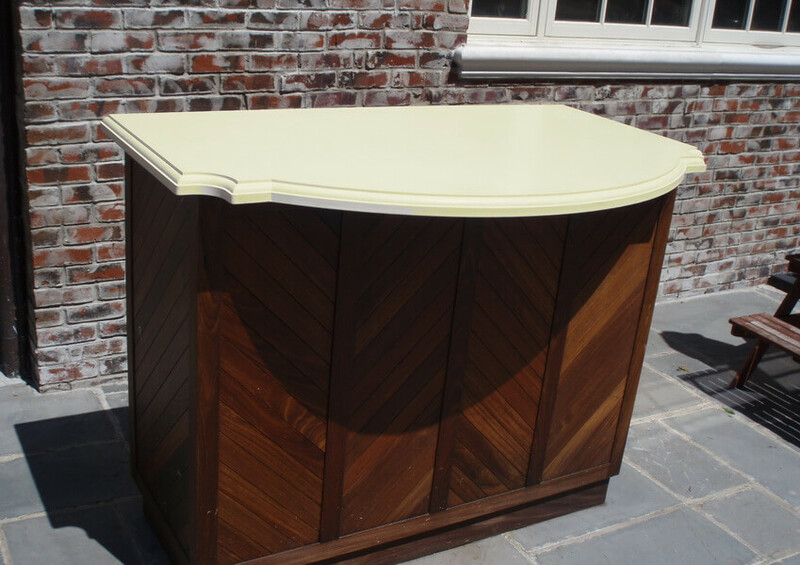 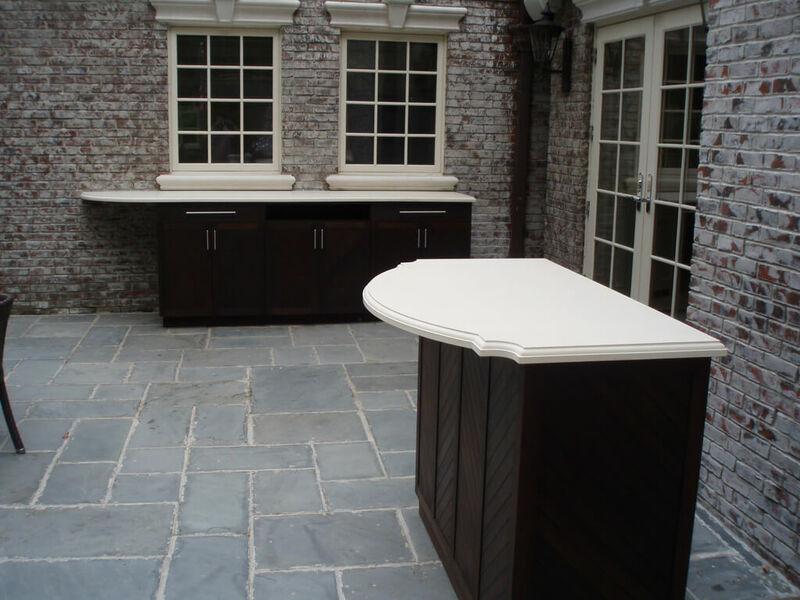 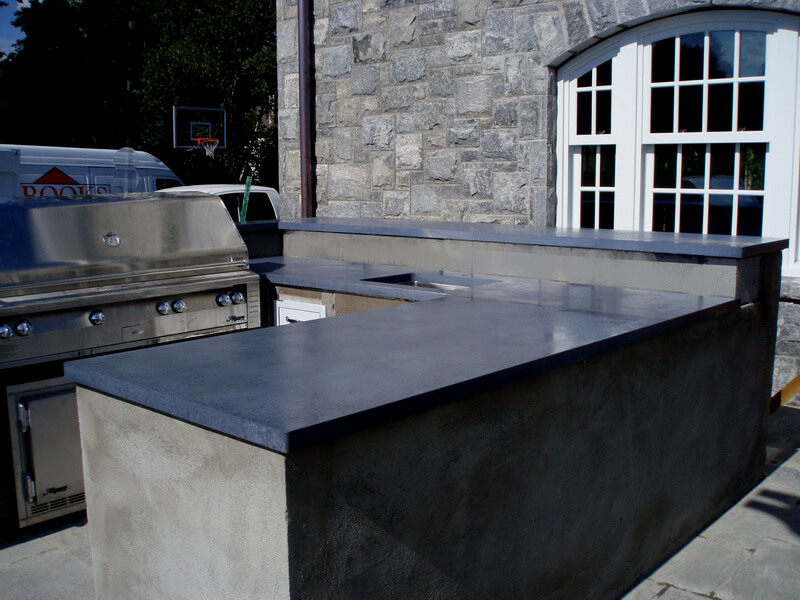 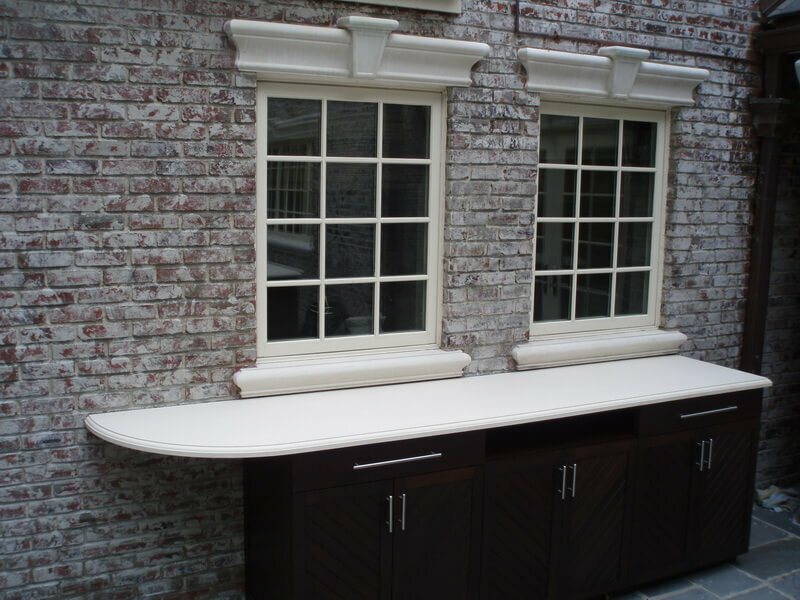 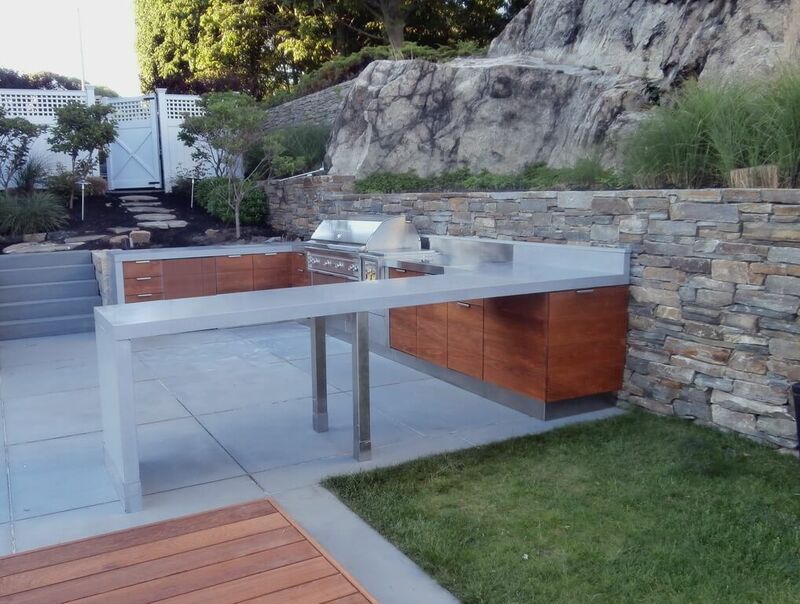 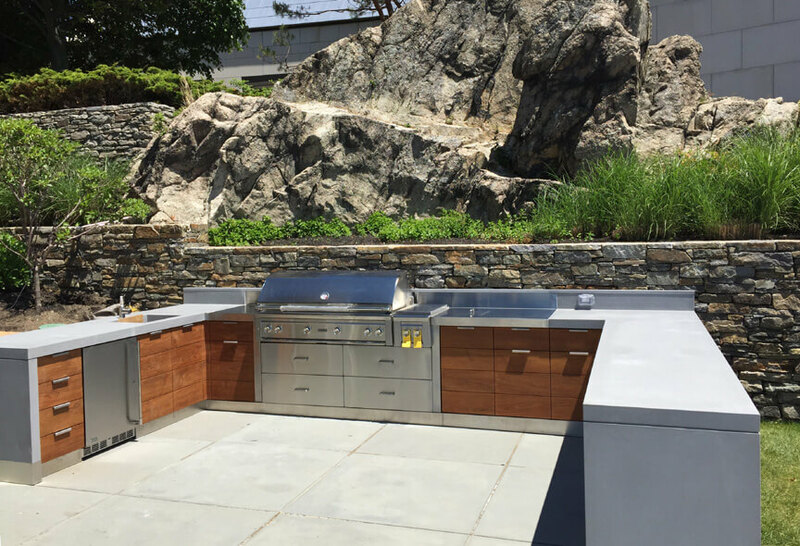 Concrete countertops are resistant to water, heat, and stains; a great option for outdoor kitchens. 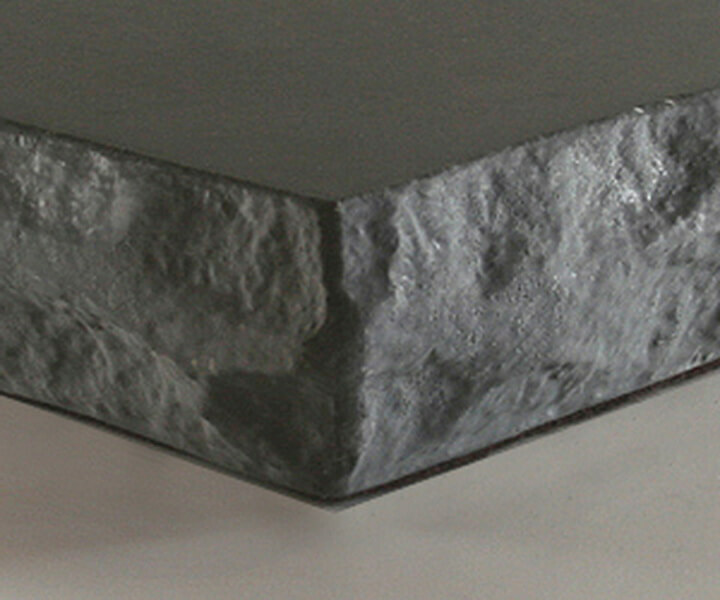 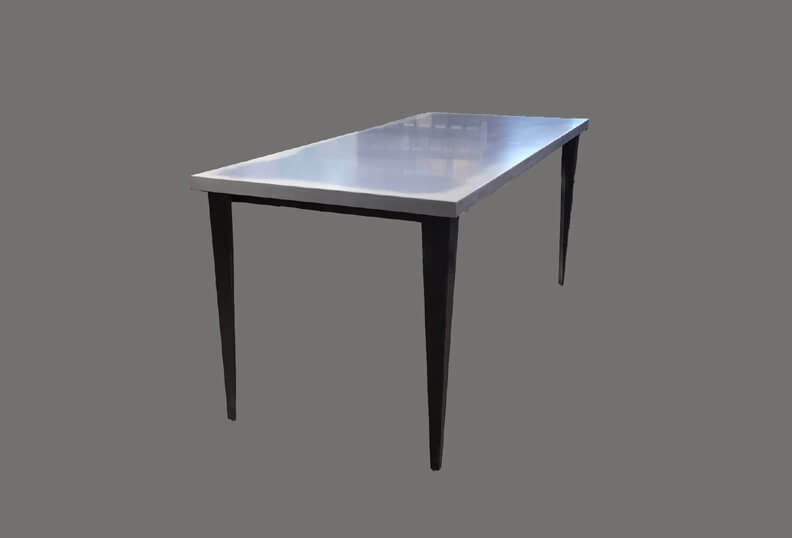 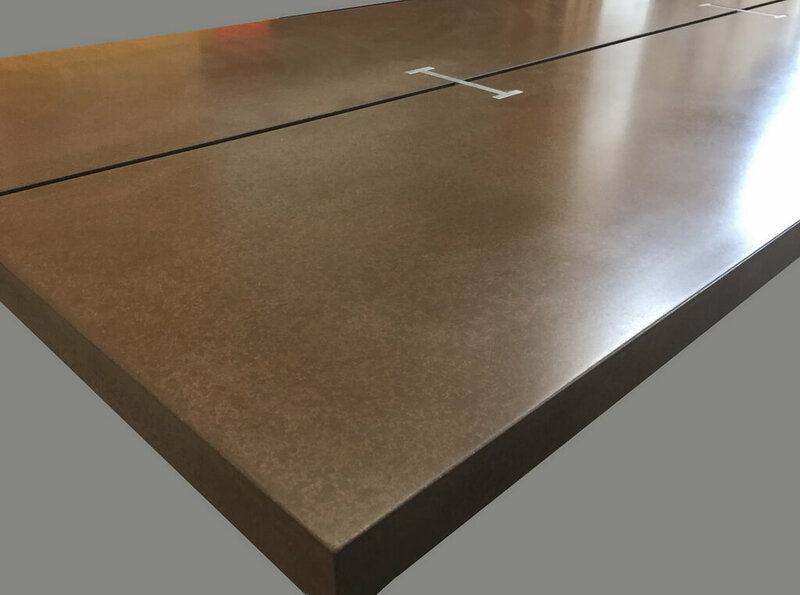 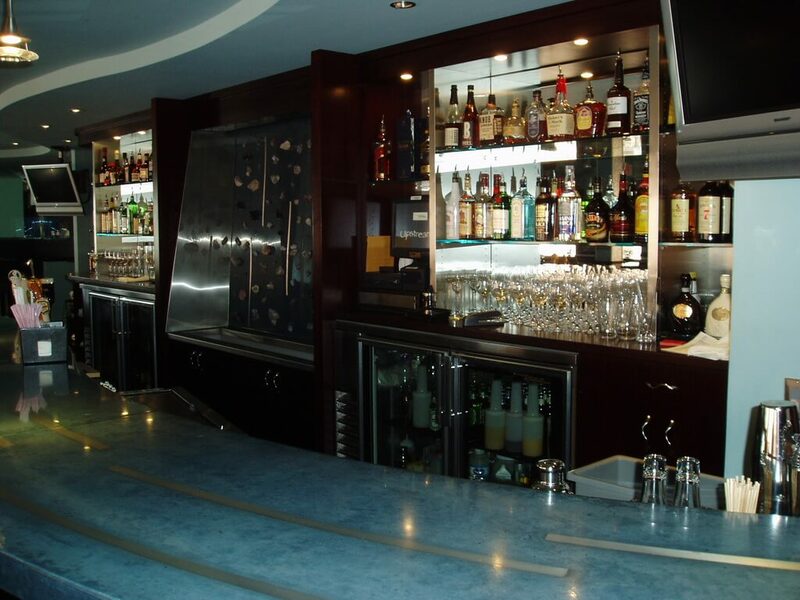 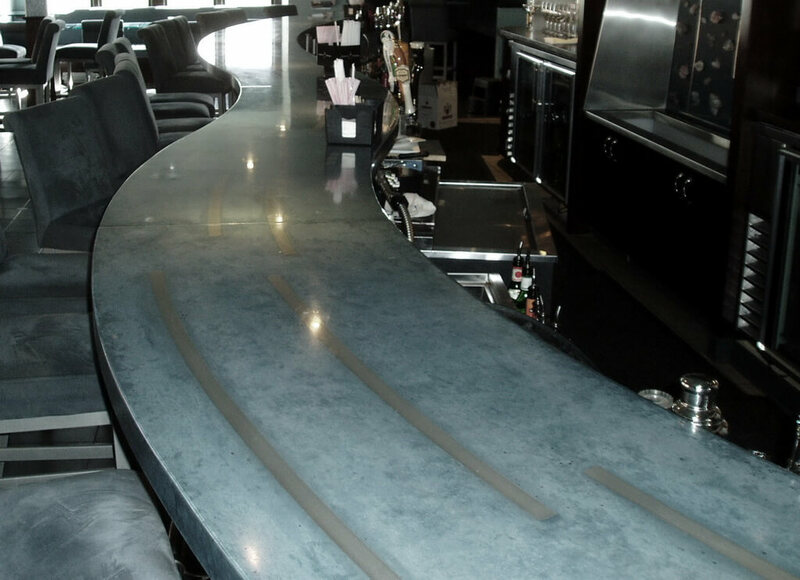 Low-maintenance and unique engineered concrete bar tops for commercial and residential projects. 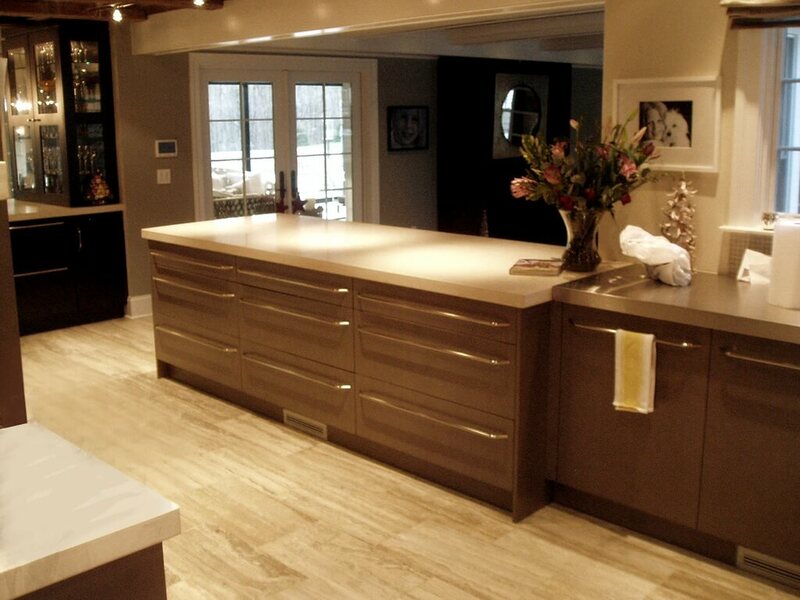 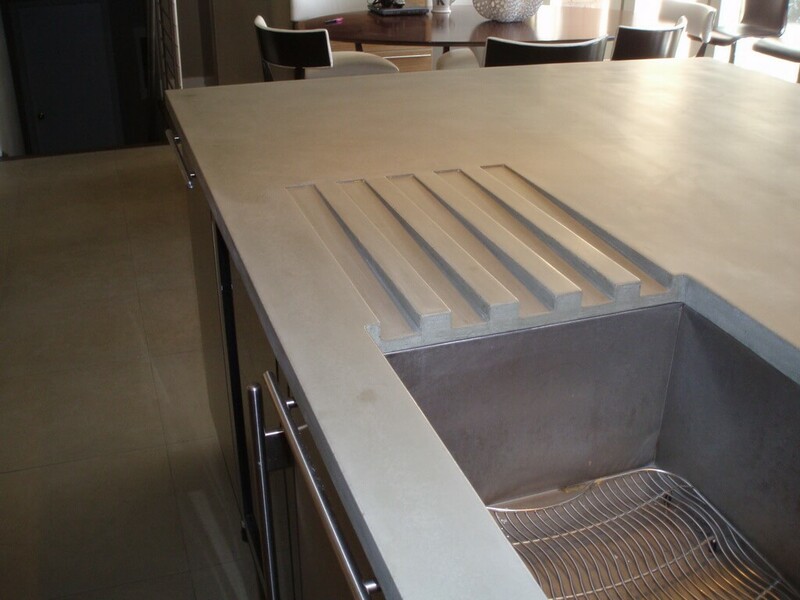 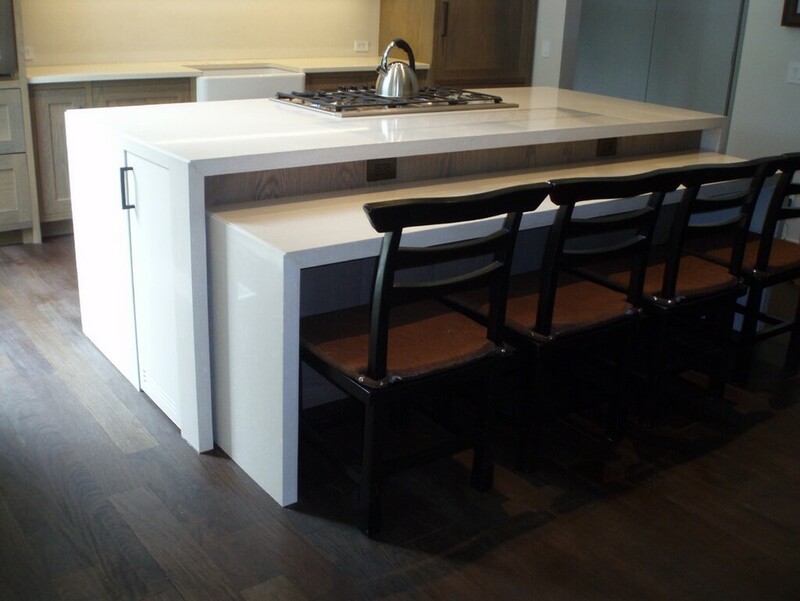 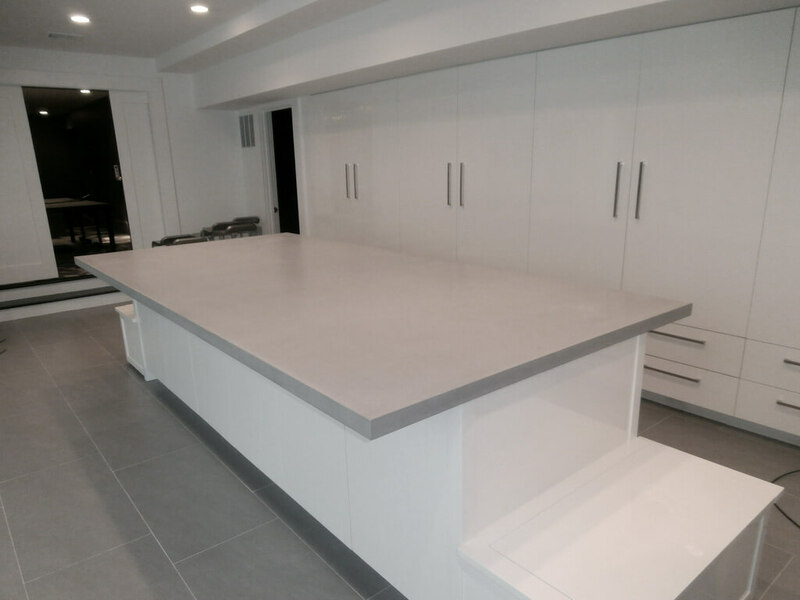 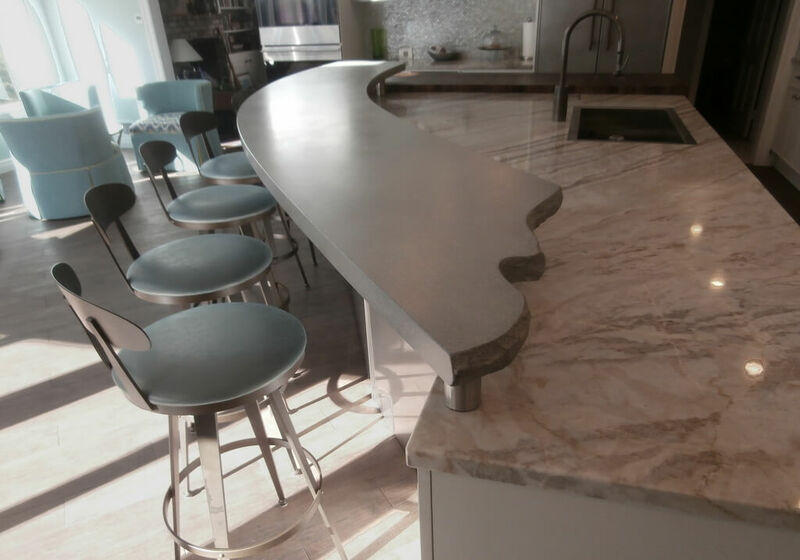 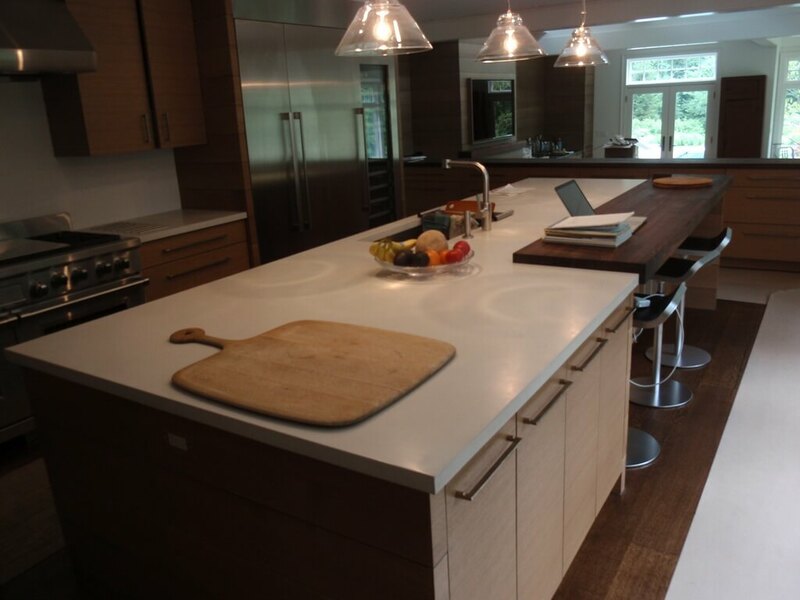 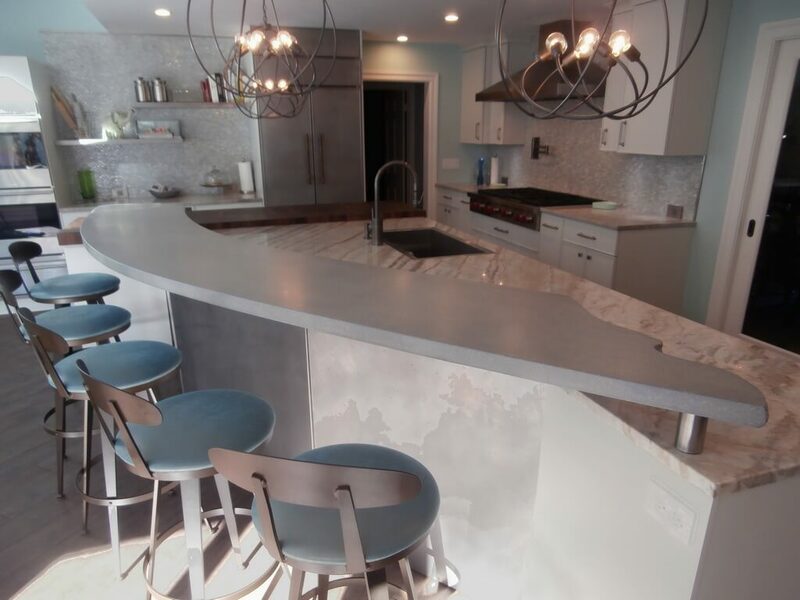 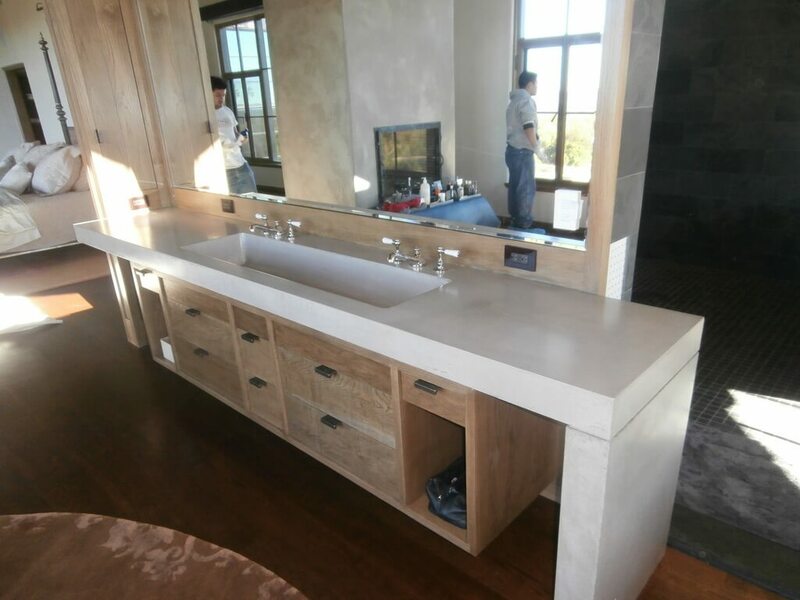 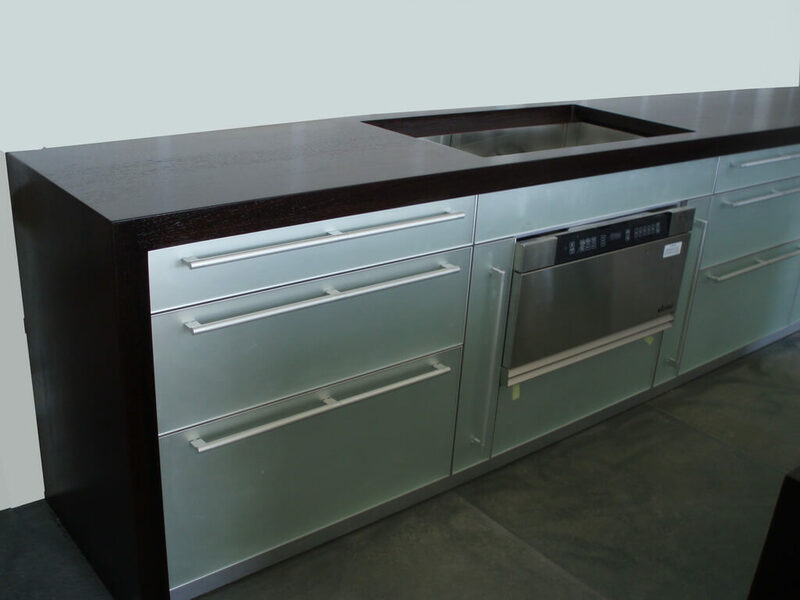 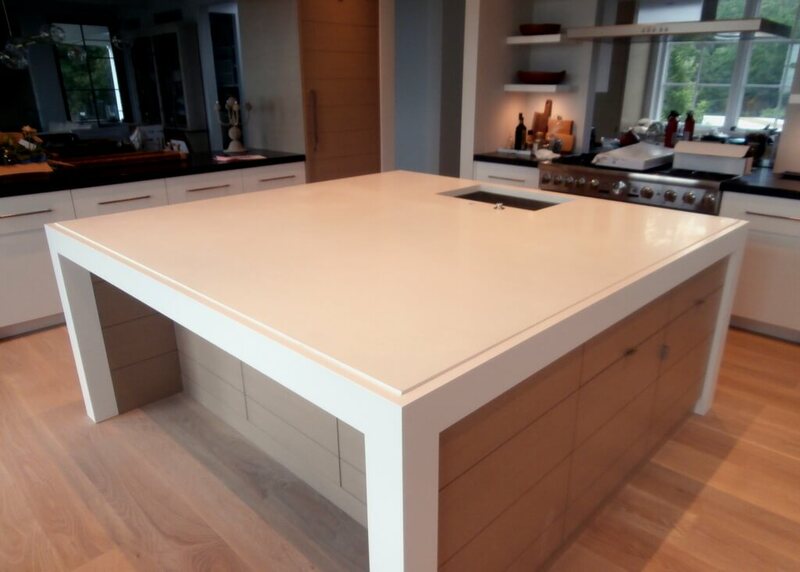 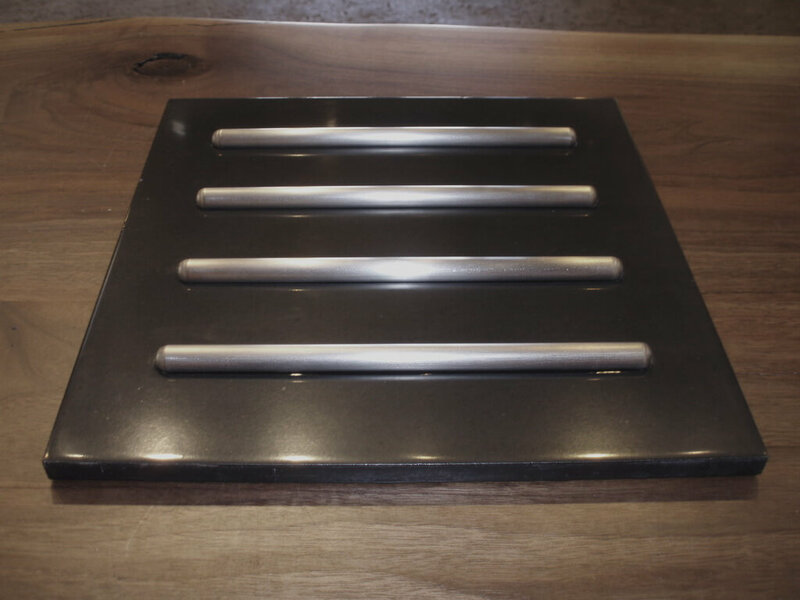 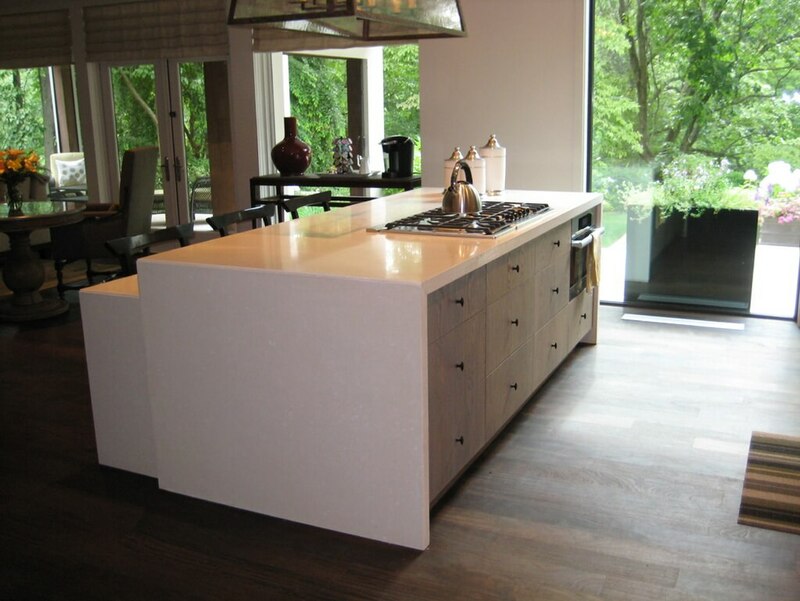 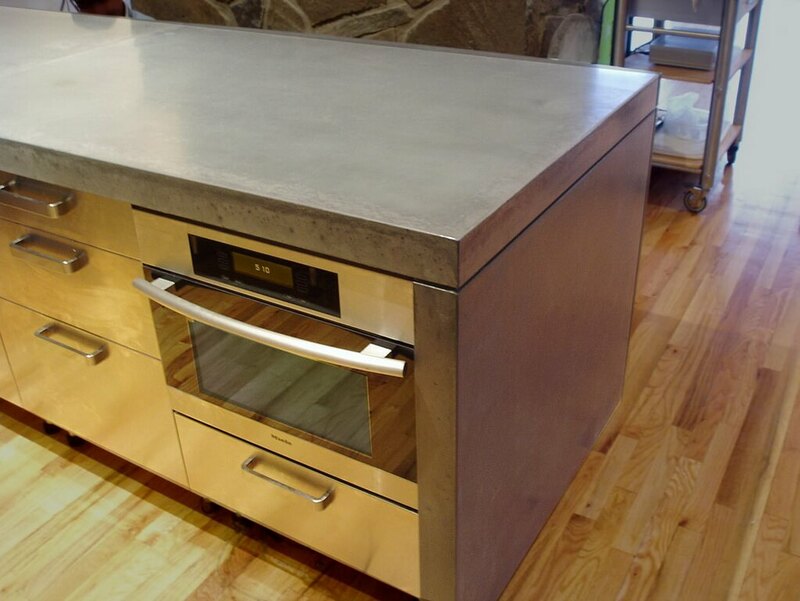 View a gallery of modern waterfall style countertops using Brooks Custom's engineered concrete tops. 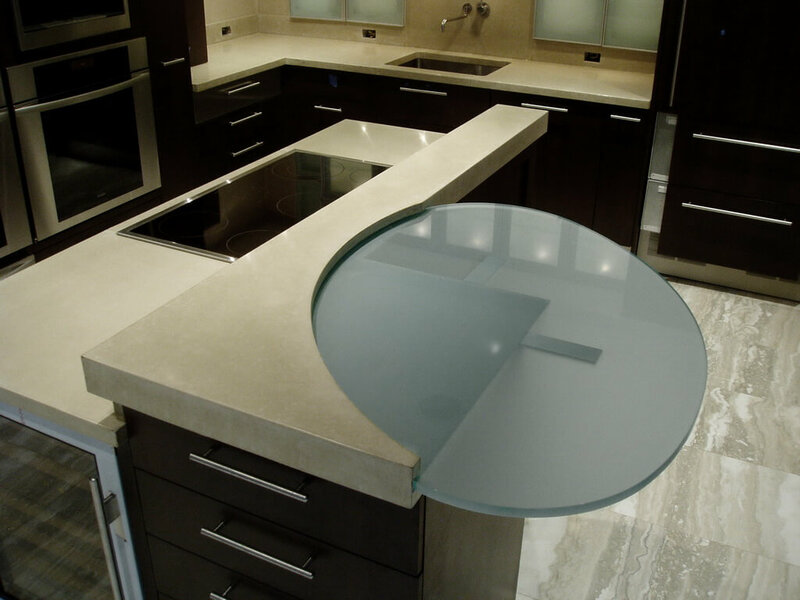 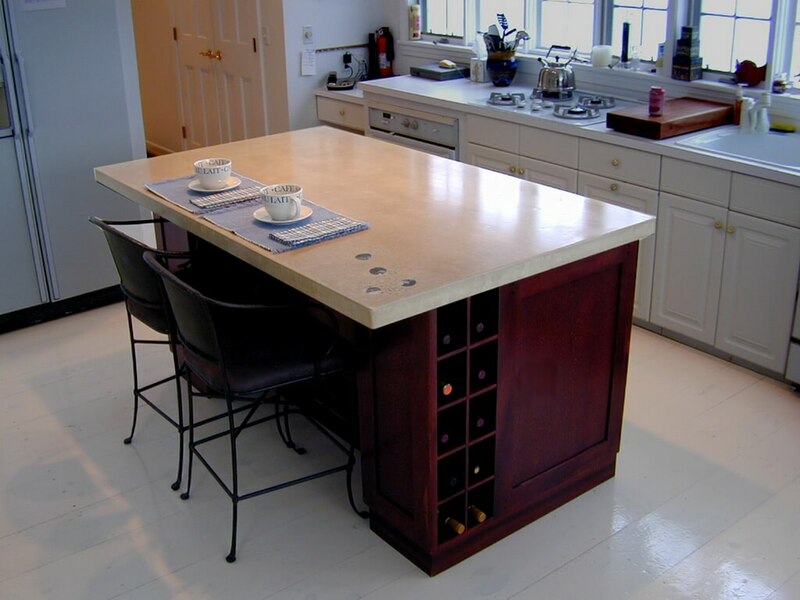 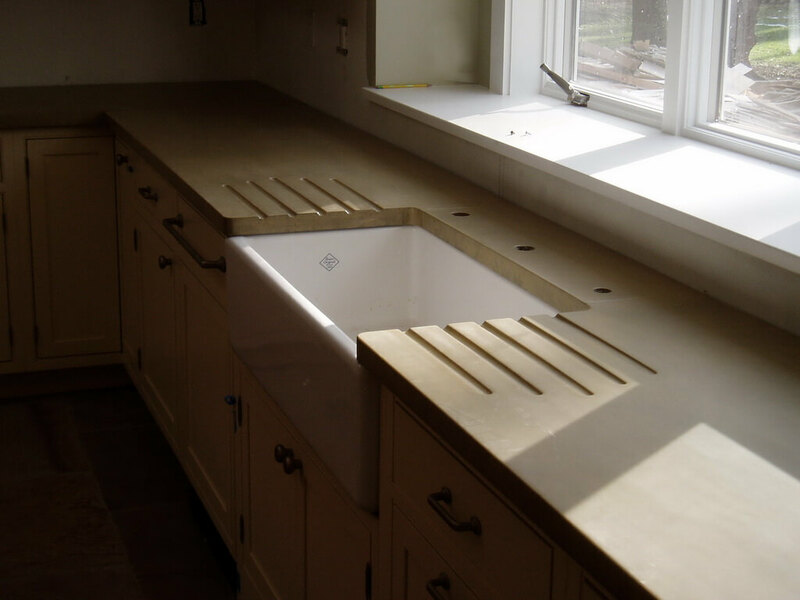 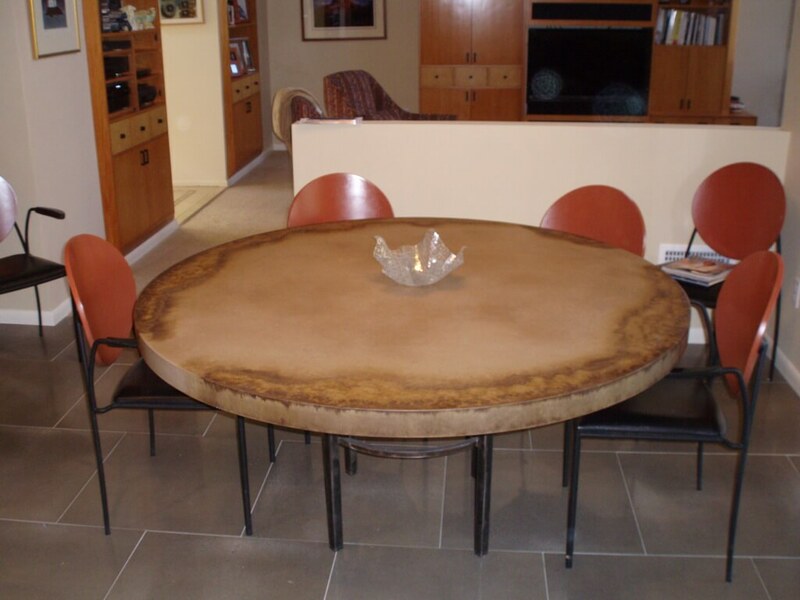 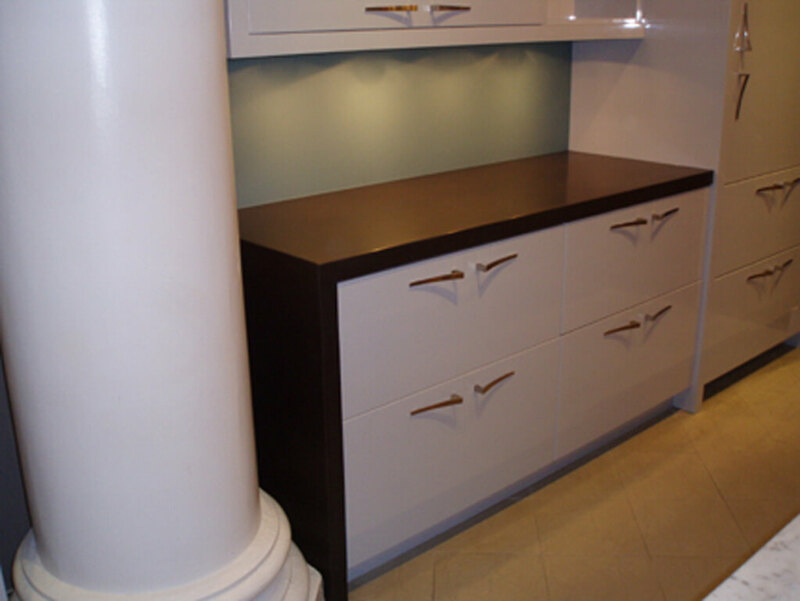 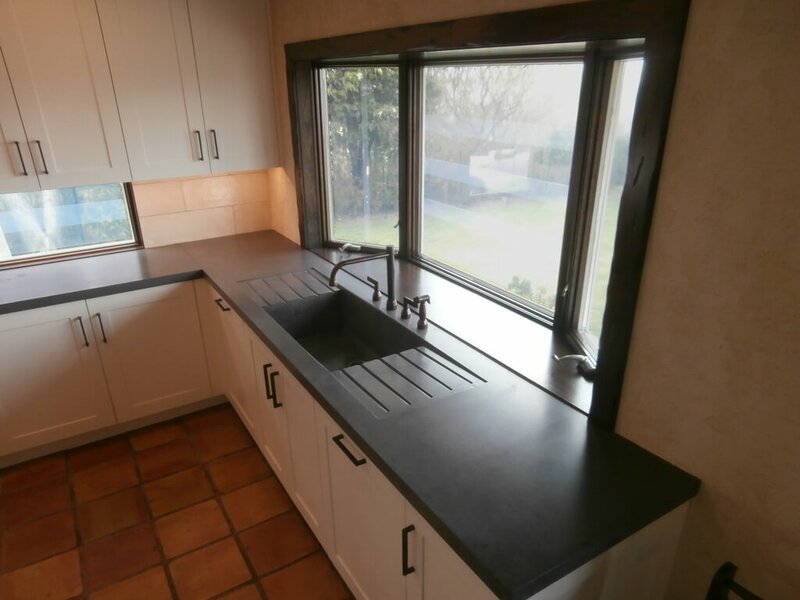 This gallery displays just some of the innumerable ways you can customize our concrete countertops. 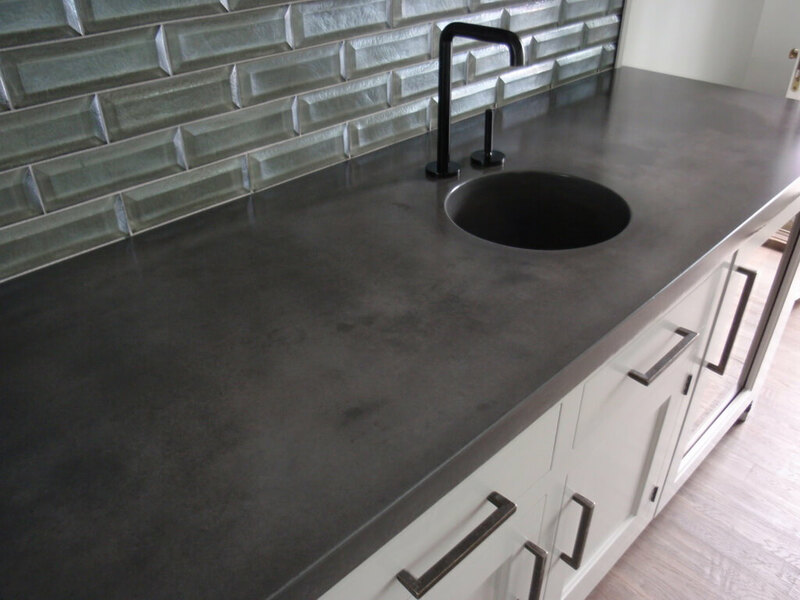 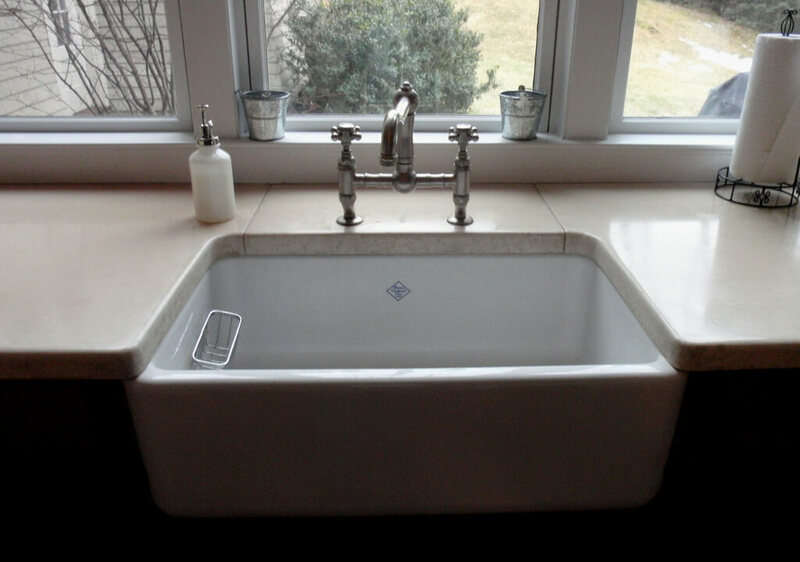 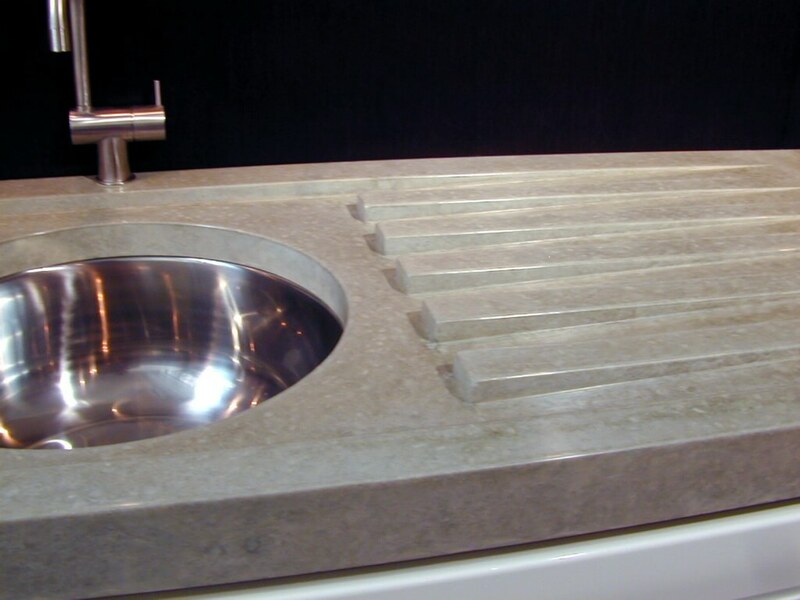 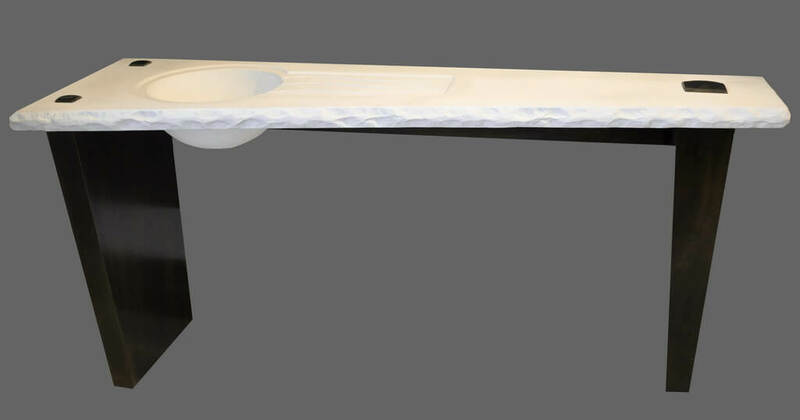 Gallery of Verdicrete concrete sink styles from Brooks Custom's line of engineered concrete products. 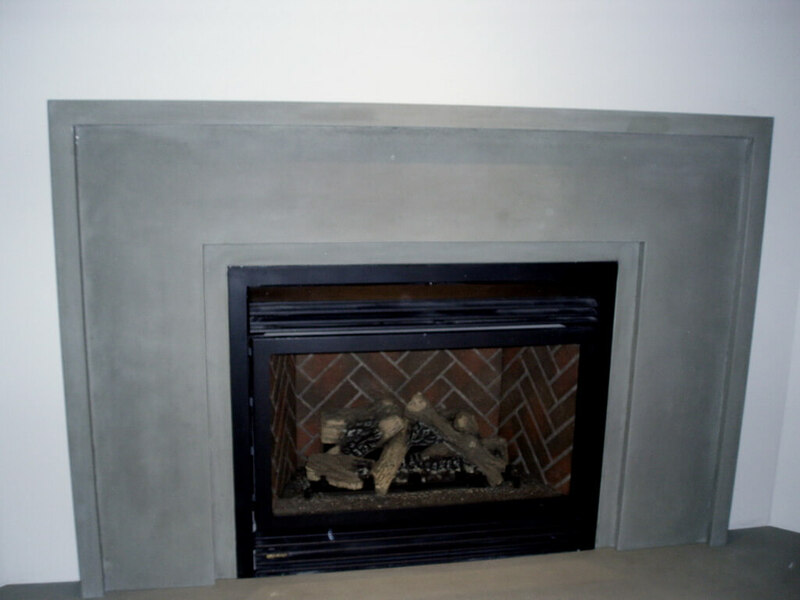 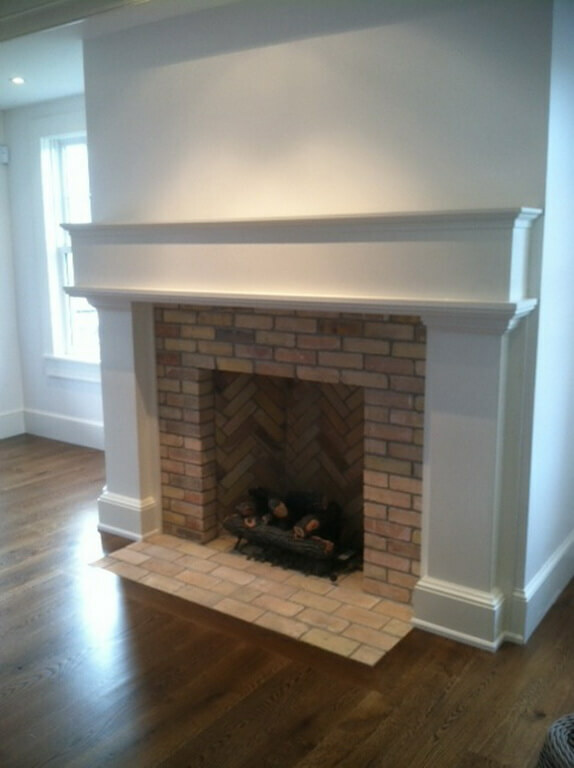 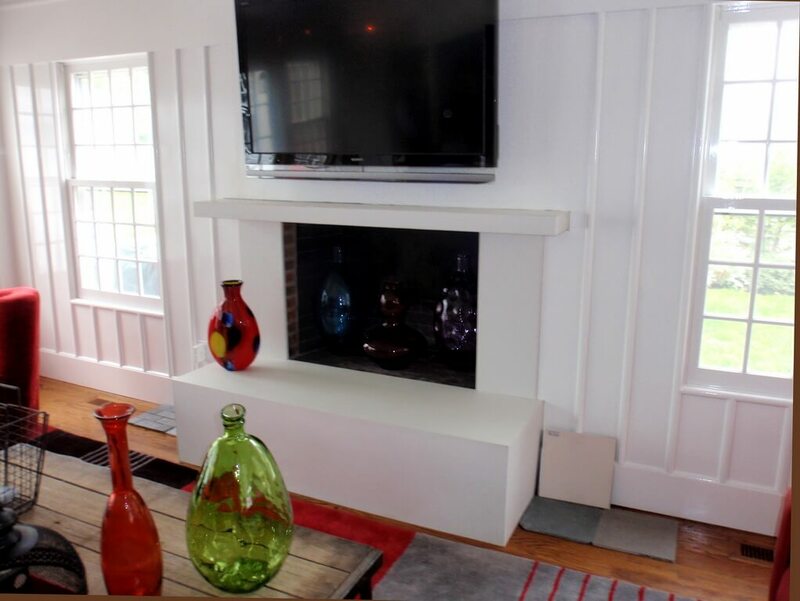 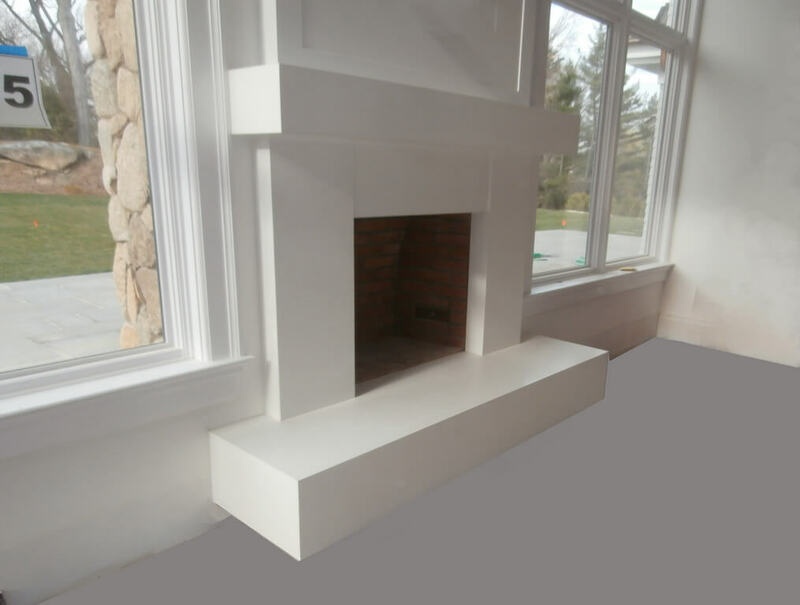 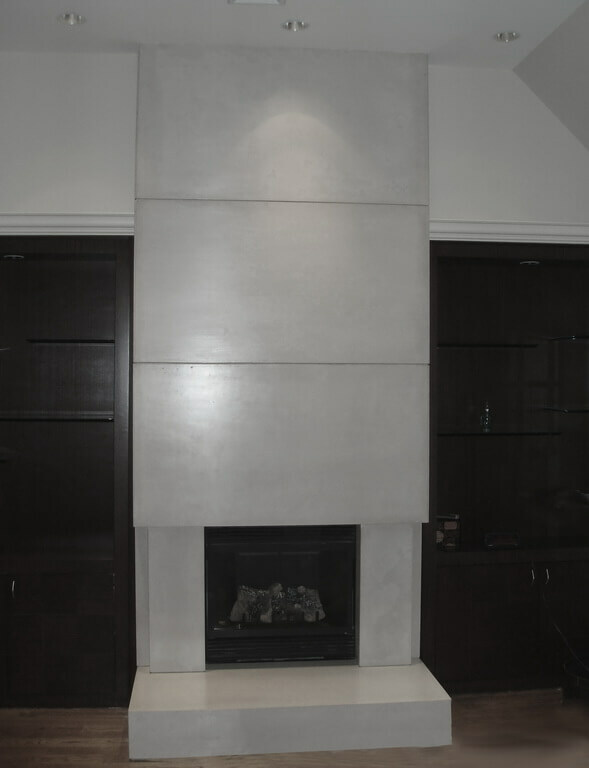 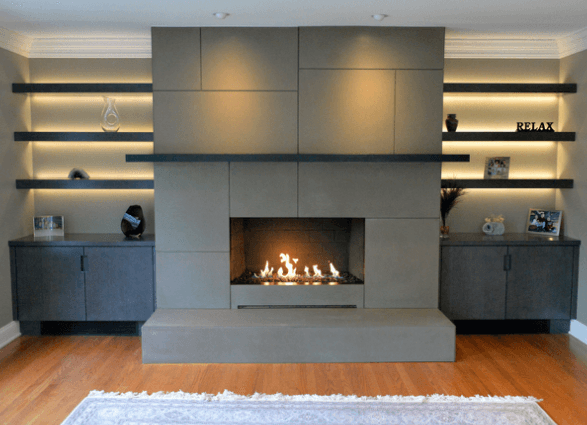 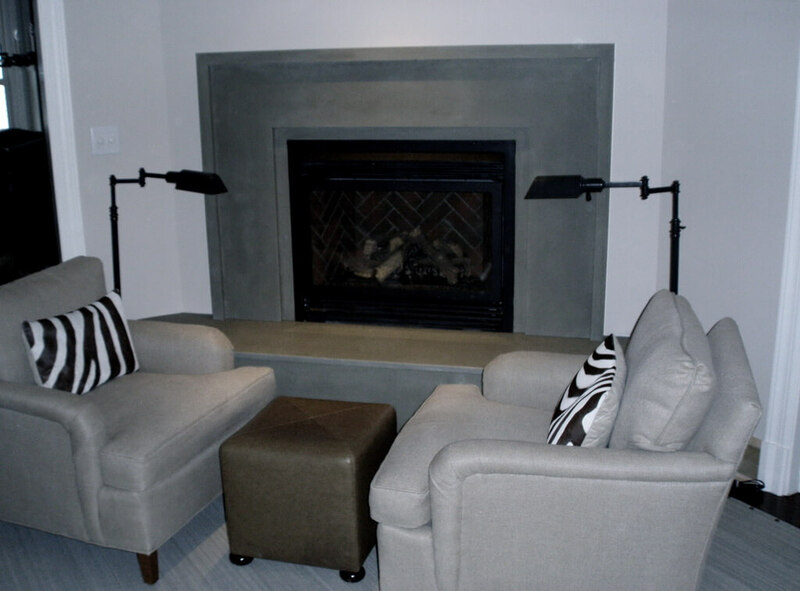 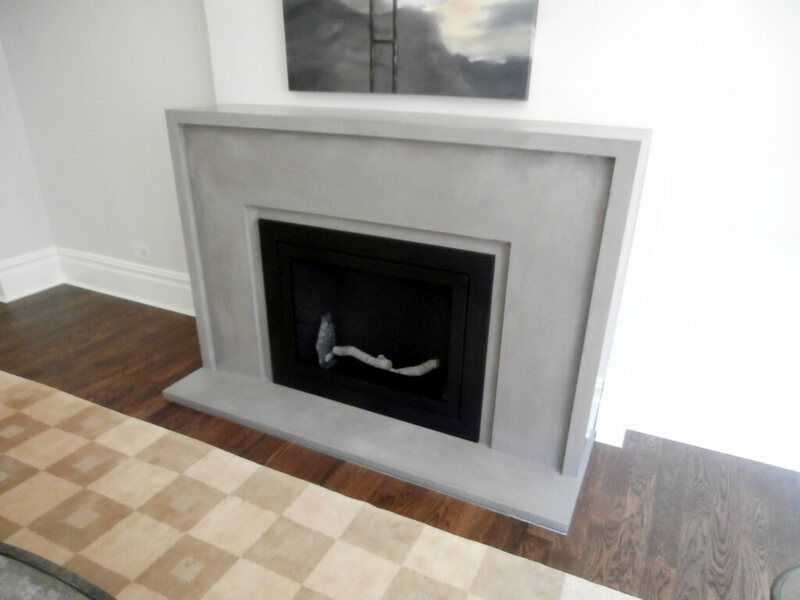 Concrete fireplace surround photo gallery. 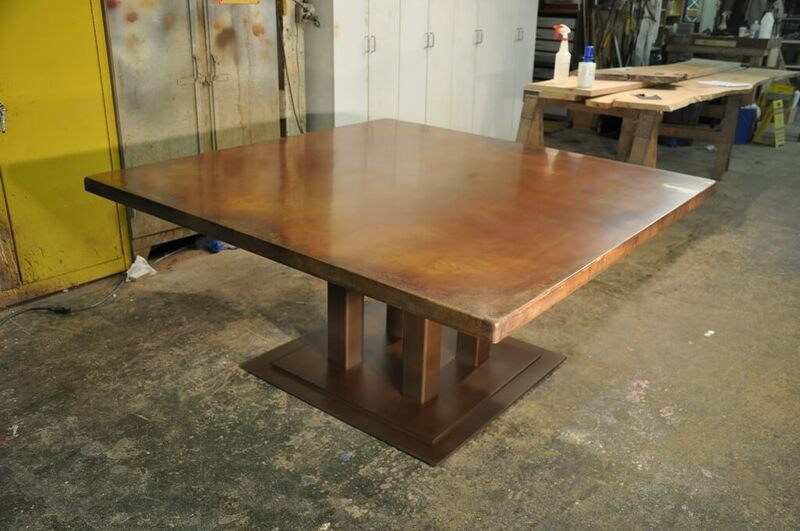 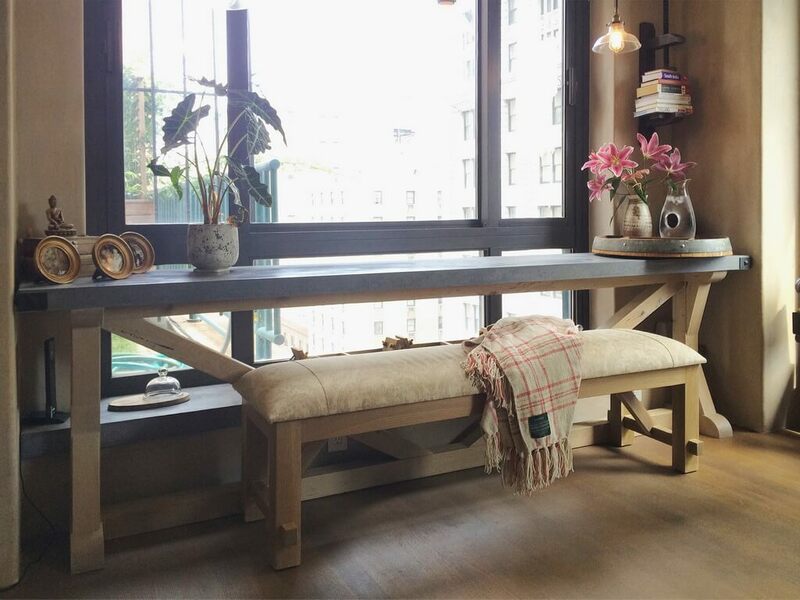 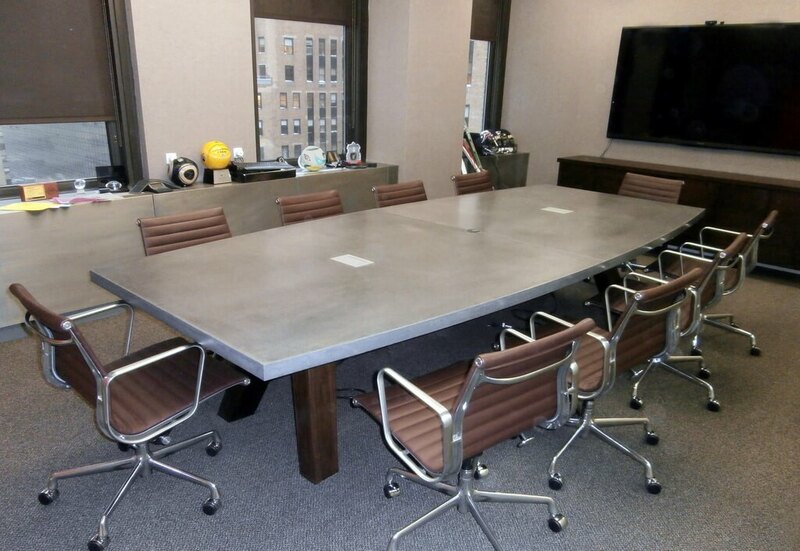 View examples of projects made by Brooks Custom. 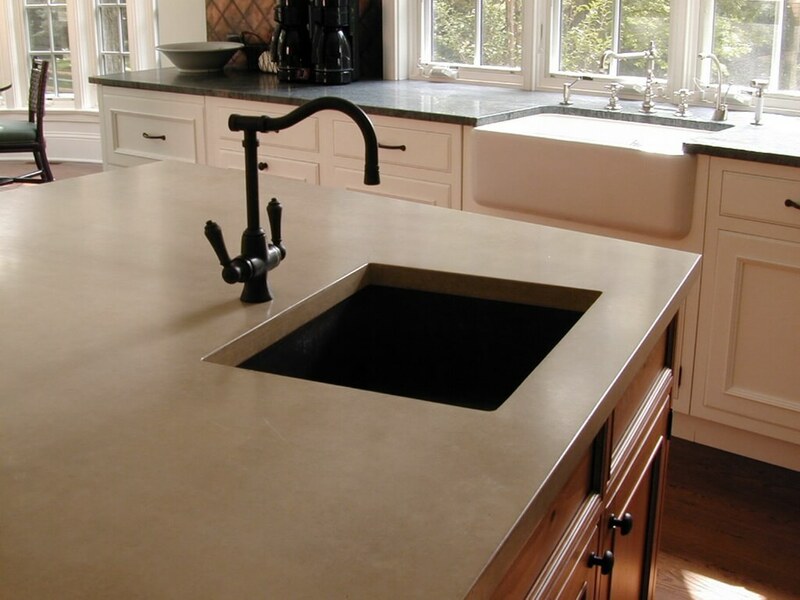 A thirty second slideshow takes you through the versatility of Brooks Custom's engineered concrete countertops. 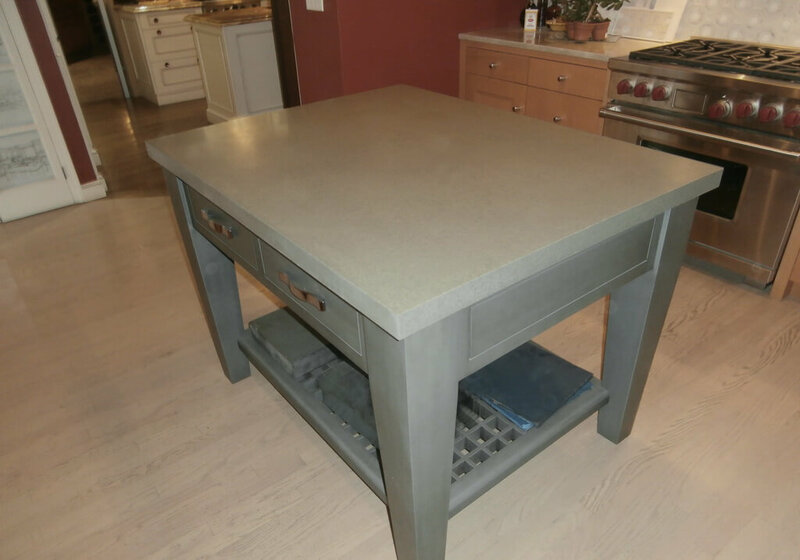 This video, hosted by Richard Brooks, explores the many customization options for concrete countertops. 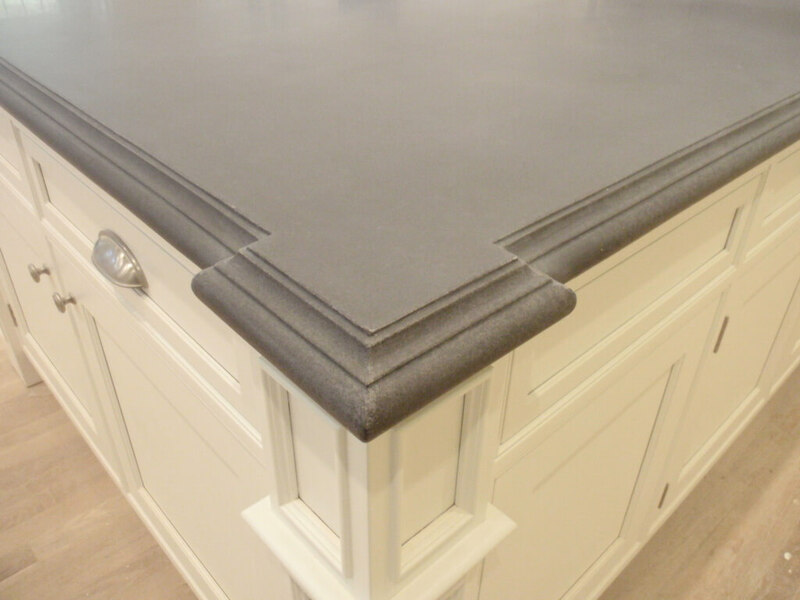 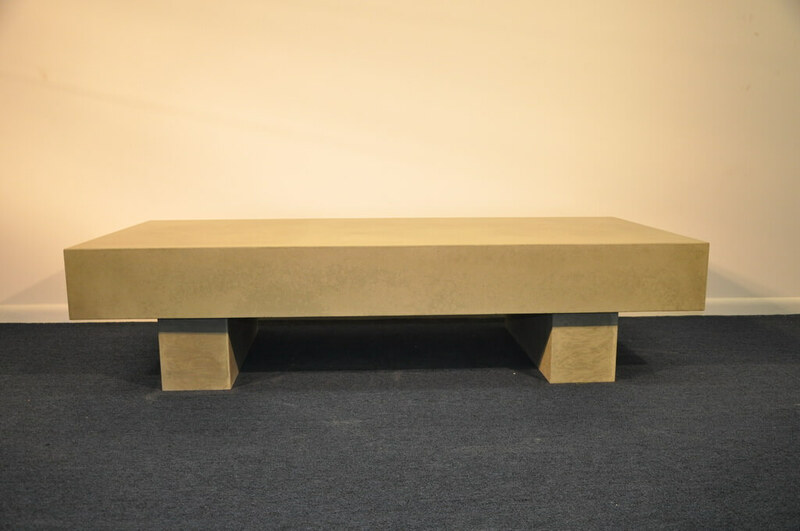 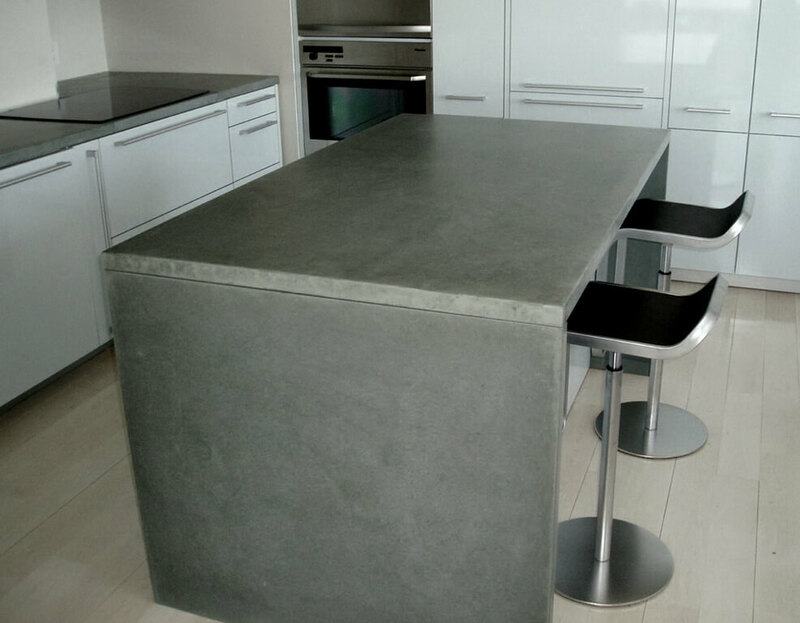 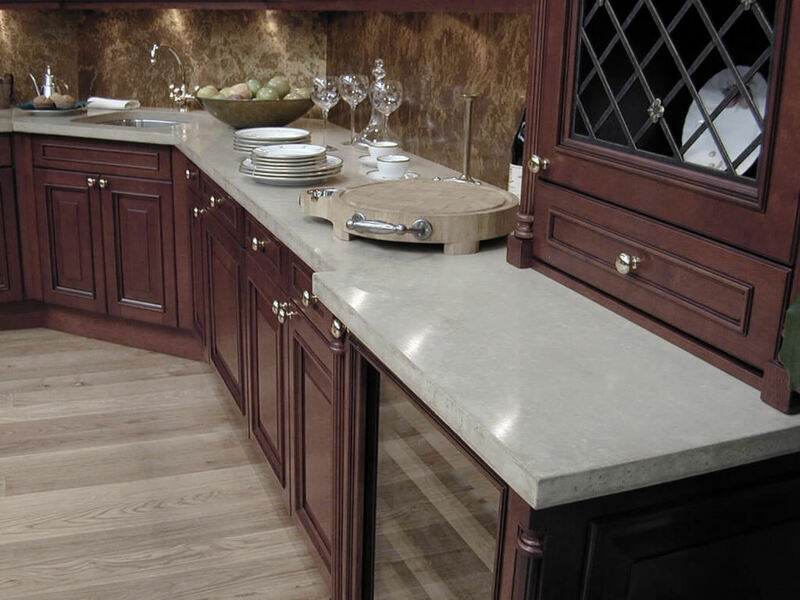 How strong are Brooks Custom's concrete countertops? 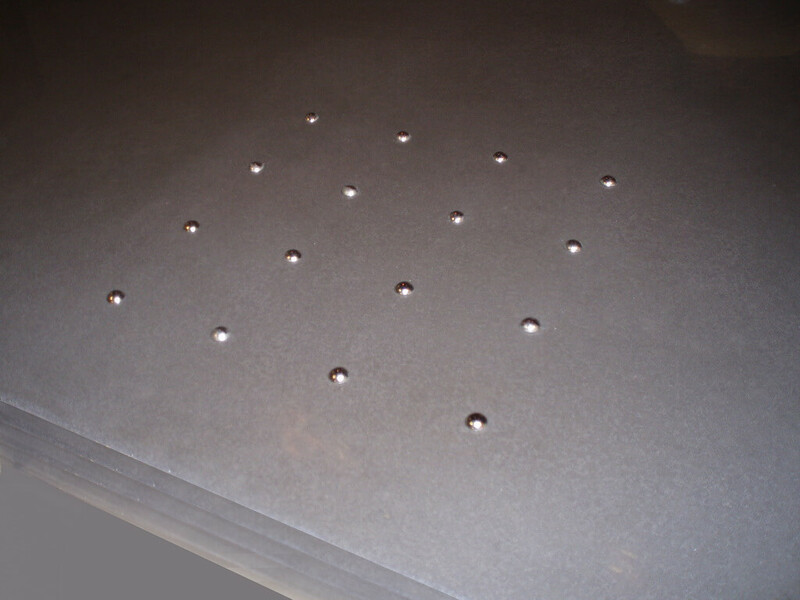 Find out by watching this strength test video. 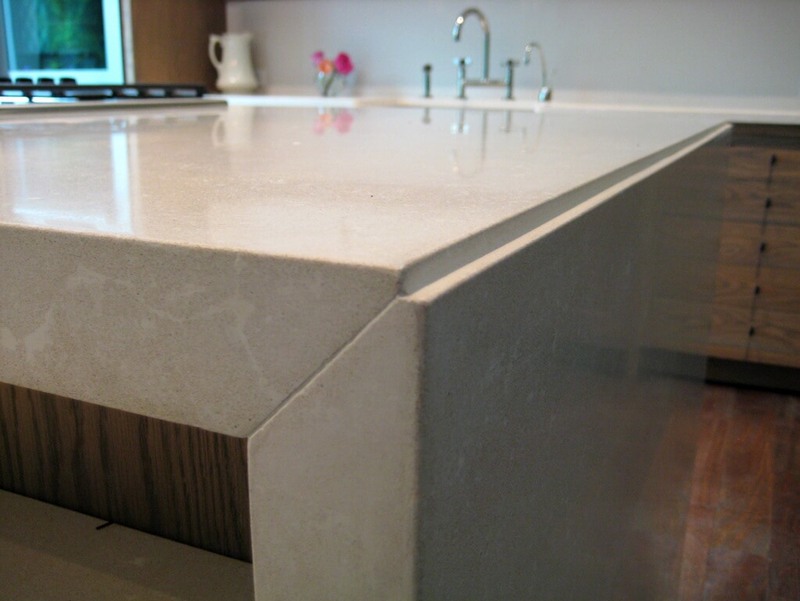 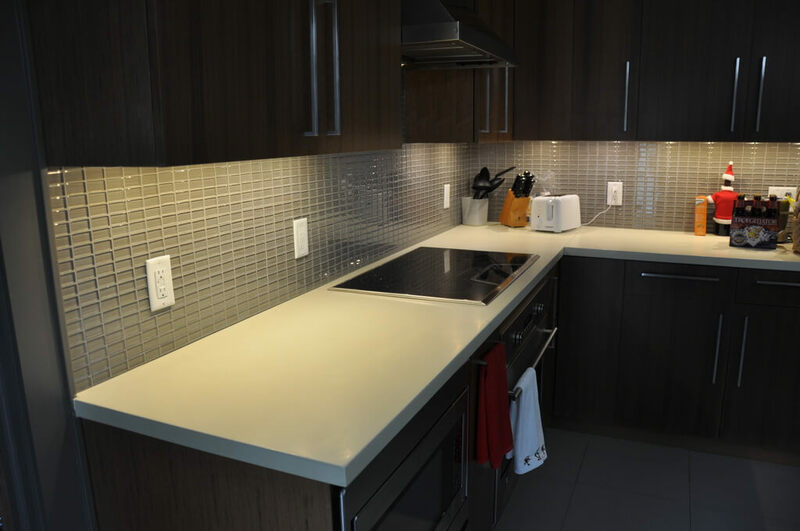 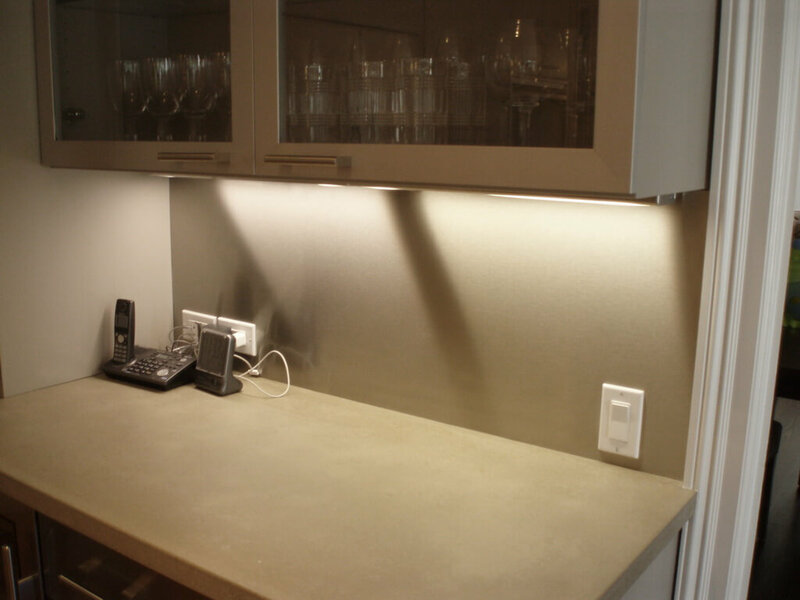 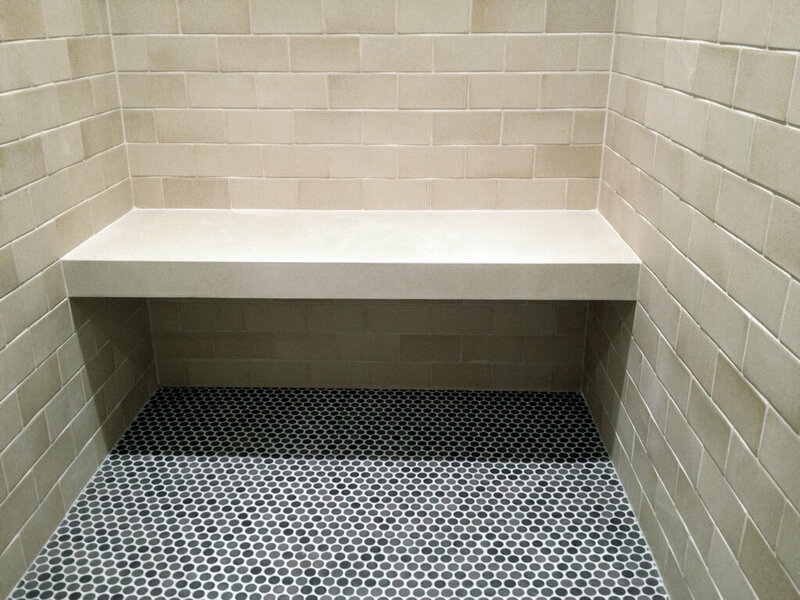 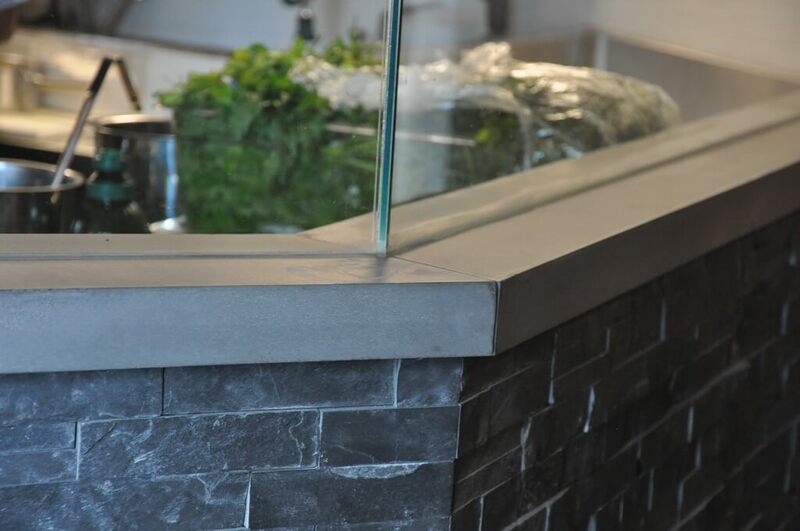 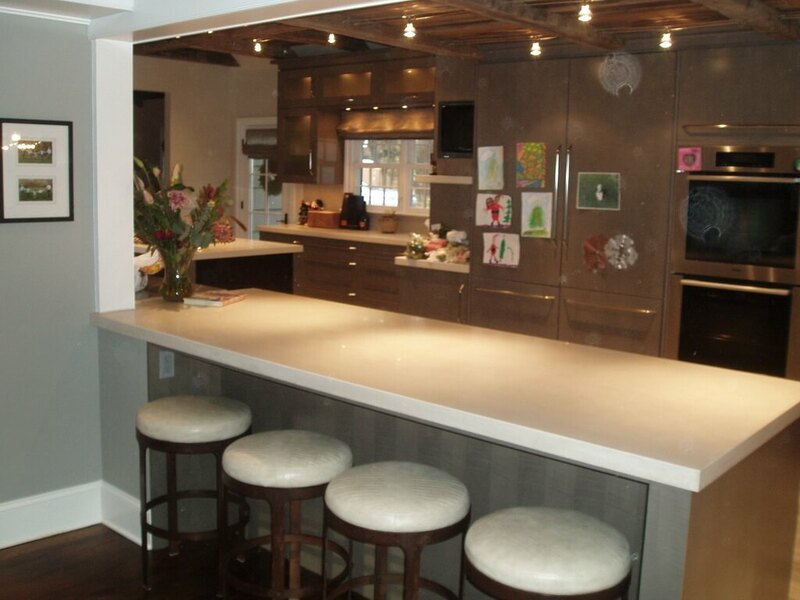 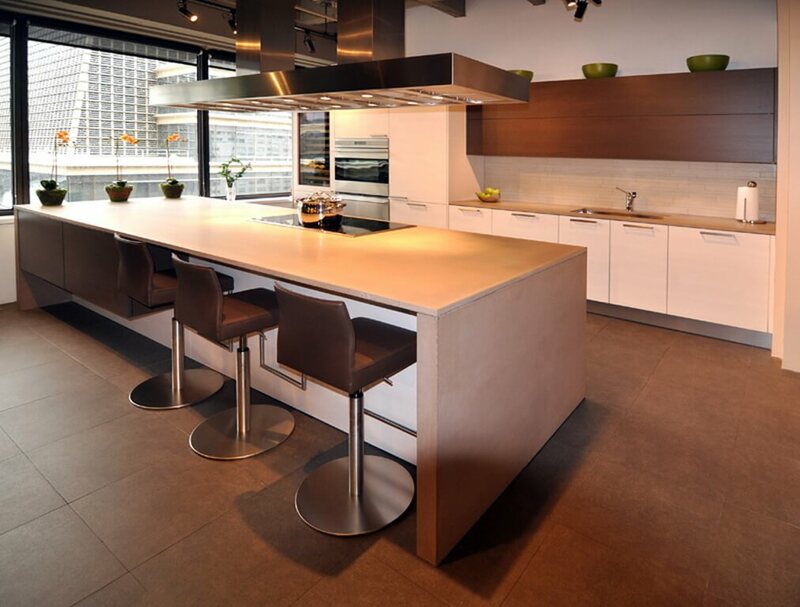 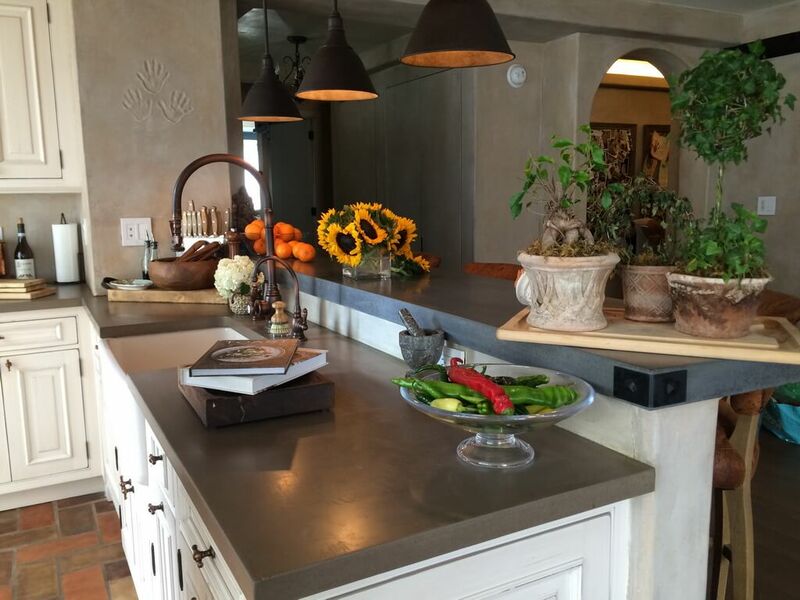 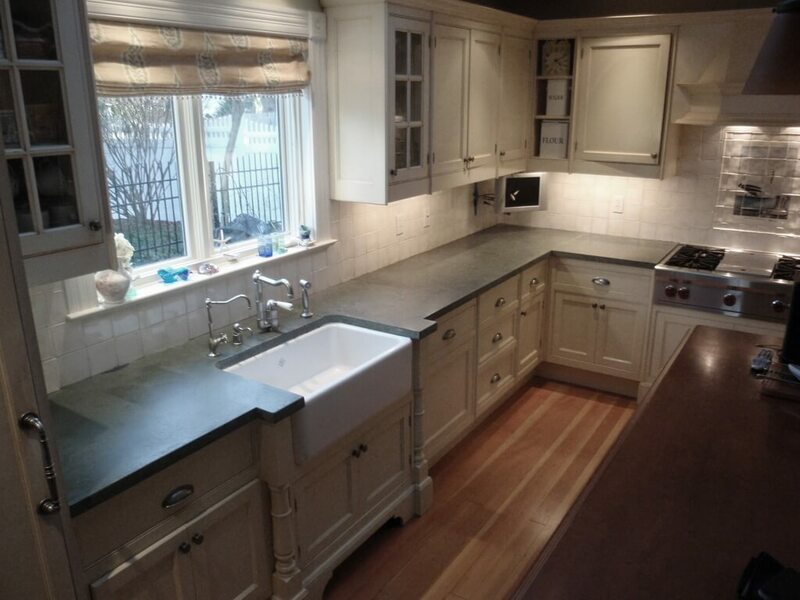 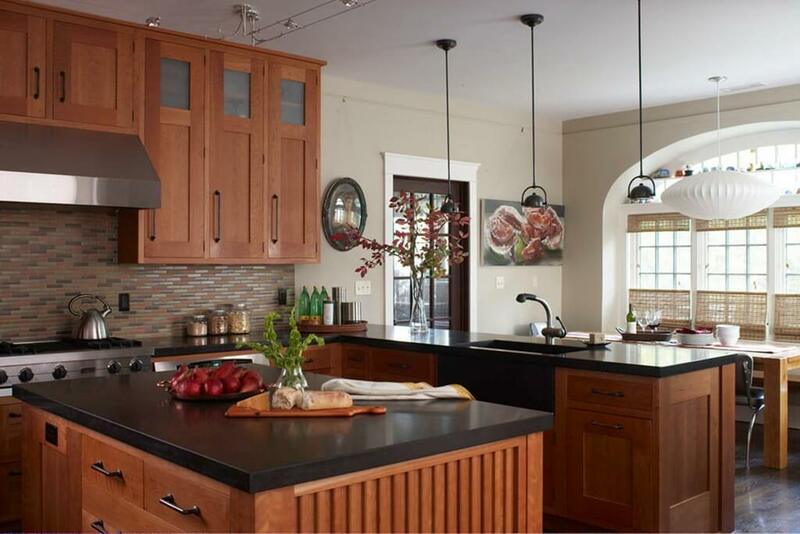 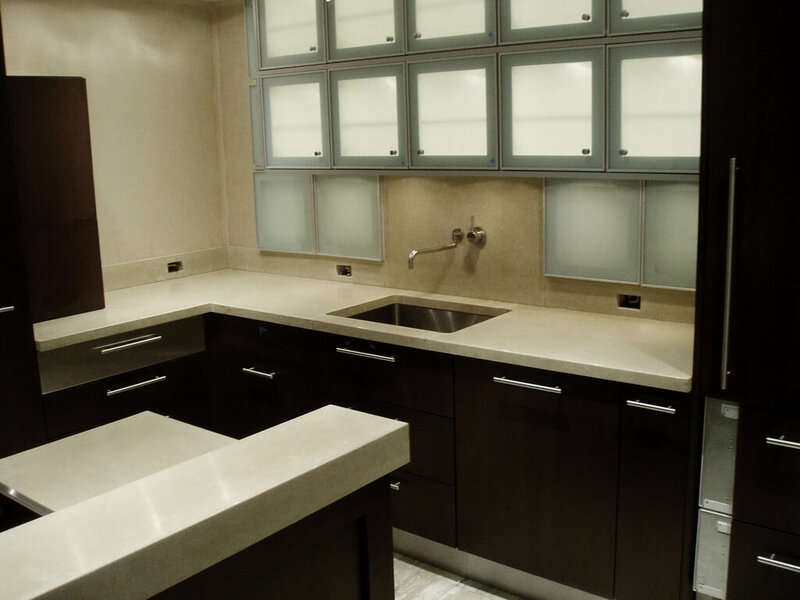 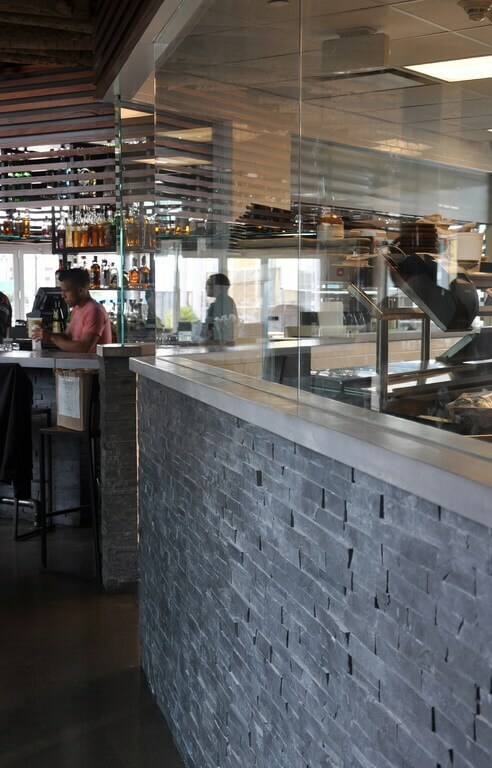 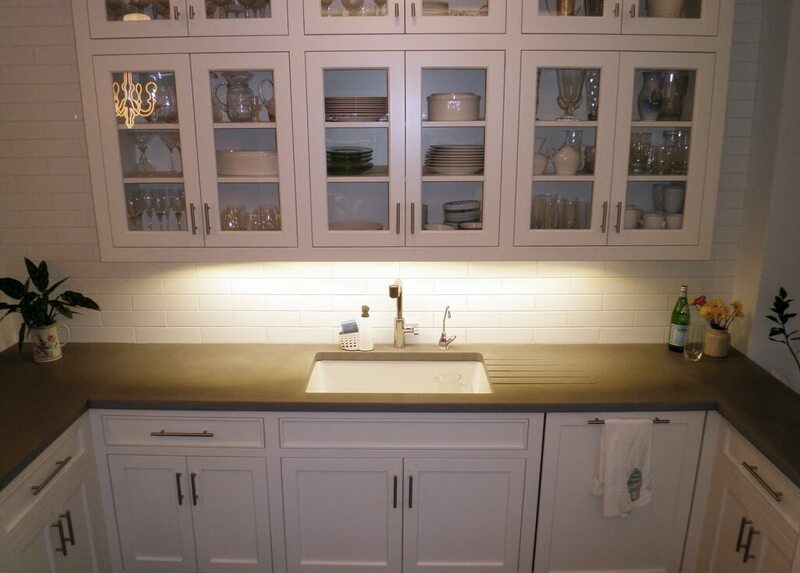 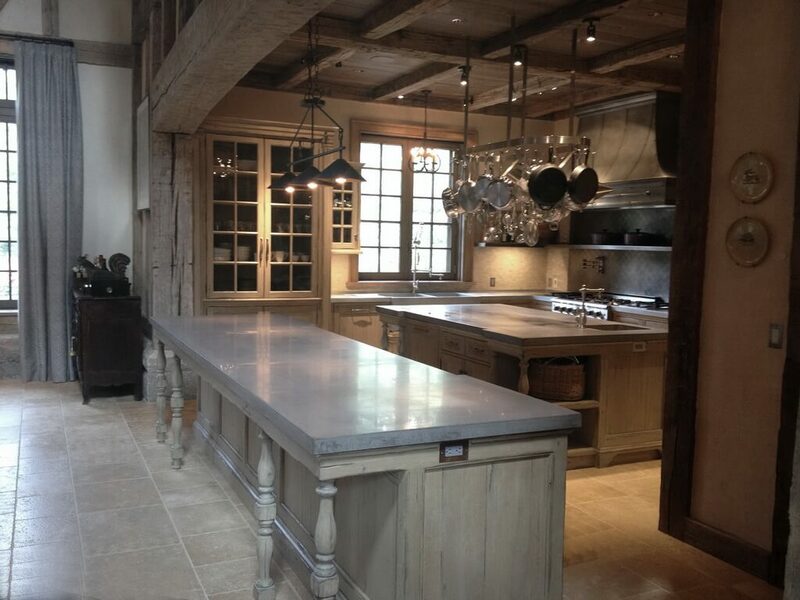 View the many uses and application of concrete countertops and wall panels by Brooks Custom.